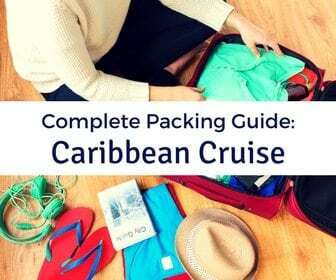 Scroll down to WATCH our complete Celebrity Edge Caribbean Cruise Review video! 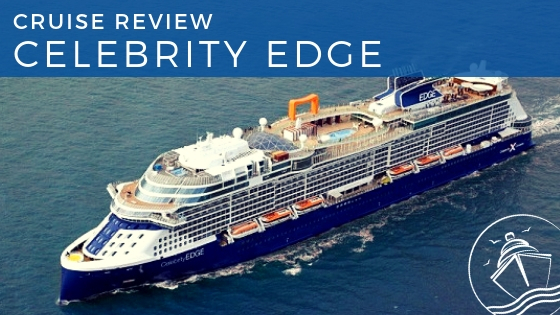 Celebrity Edge is the first new ship in Celebrity Cruises’ fleet in almost a decade. 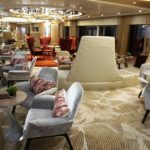 This new class of ship debuts several unique experiences, some of which are new to the fleet as well as to cruising. 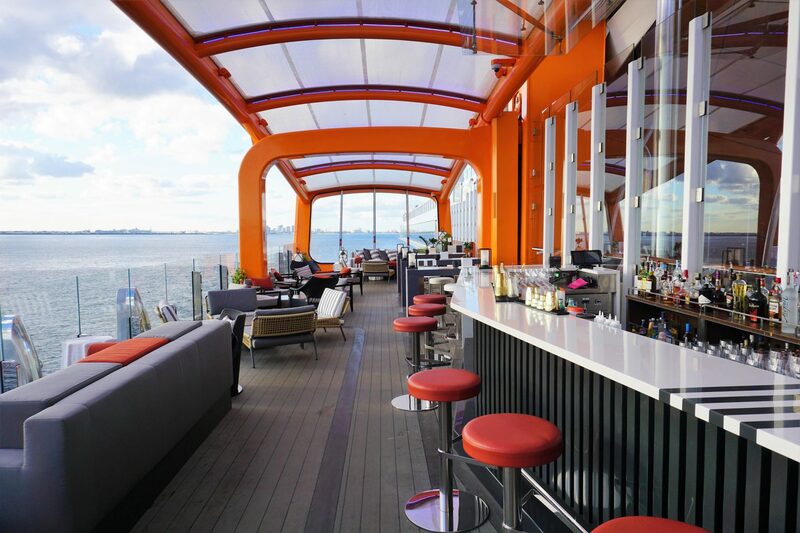 Celebrity Edge displays a modern and elegant design that is a mixture of the Solstice-class and sister brand Royal Caribbean’s Quantum-class ships. Having sailed on both classes of ships, we could certainly see elements of both classes in the layout and venues. 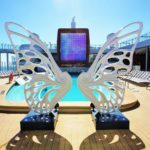 This new mega-ship is now the largest ship in the Celebrity fleet and manages to rank as one of the largest classes of ship in the world. Despite its size, the ship still manages to feel intimate and warm. 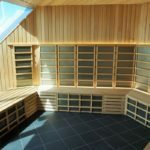 The design creates alcoves and tucked away areas that make you feel like you are on a much smaller ship. The outdoor venues offer more open space and remain uncluttered with amenities like water slides or rope courses. 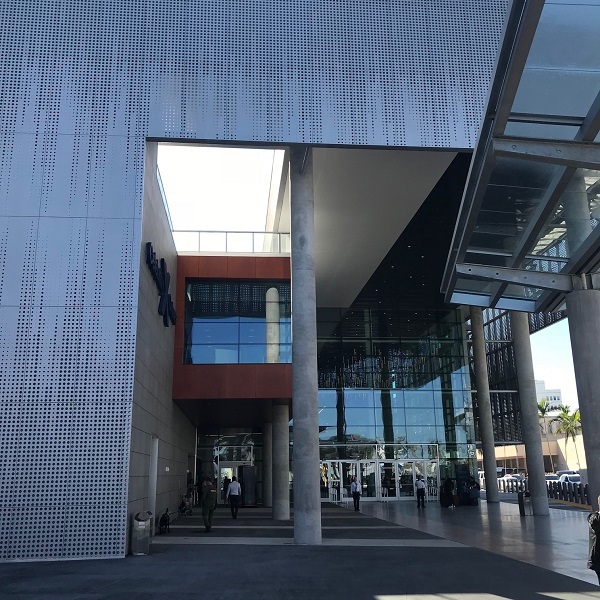 Inside, there are several new restaurants and entertainment venues. 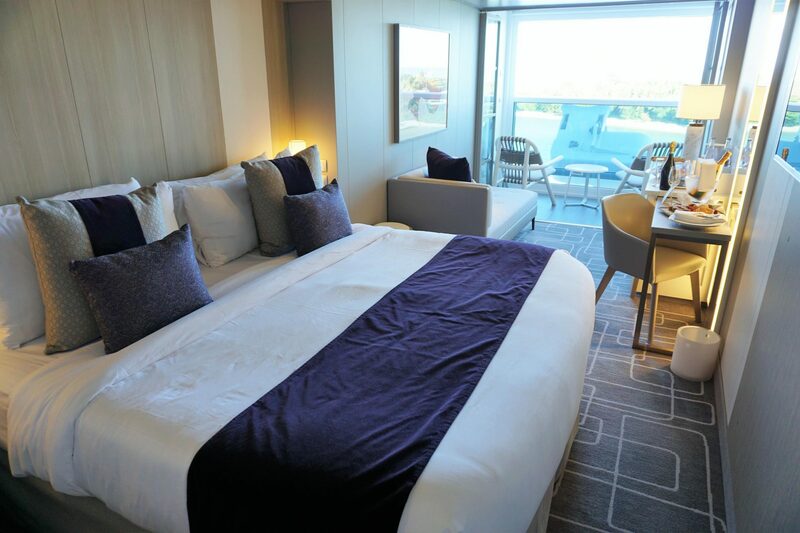 Celebrity Edge has the look and feel of a five-star hotel, not your typical cruise ship. 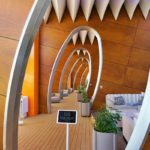 Celebrity Edge is certainly a distinct addition to the fleet that truly delivers a new take on modern luxury. 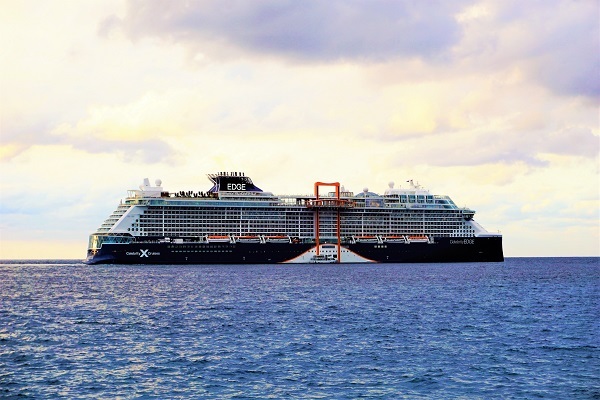 Beside the new ship appeal, Celebrity Edge’s Western Caribbean itinerary was a bit different. 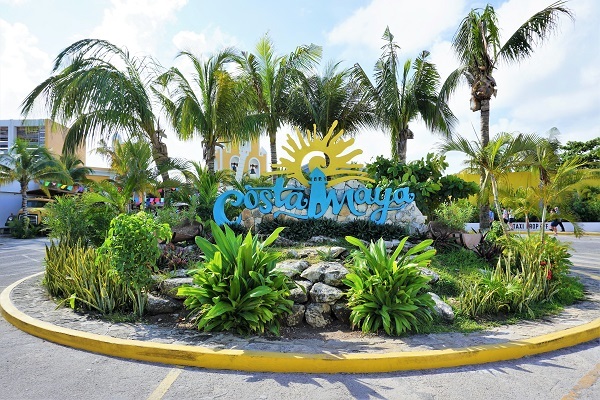 Of course, there were two stops in Mexico, Cozumel and Costa Maya. 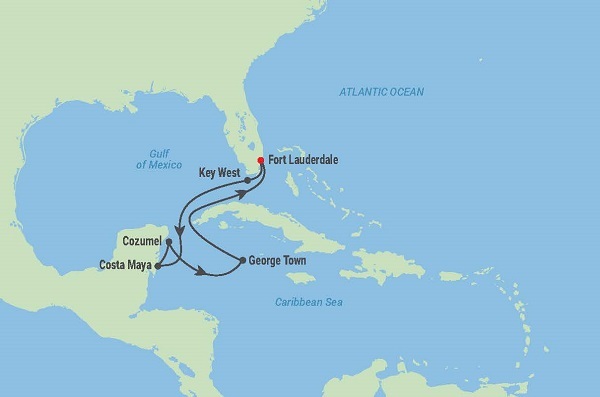 Having just visited these ports six weeks prior, we stayed onboard in Cozumel and did a beach break in Costa Maya. 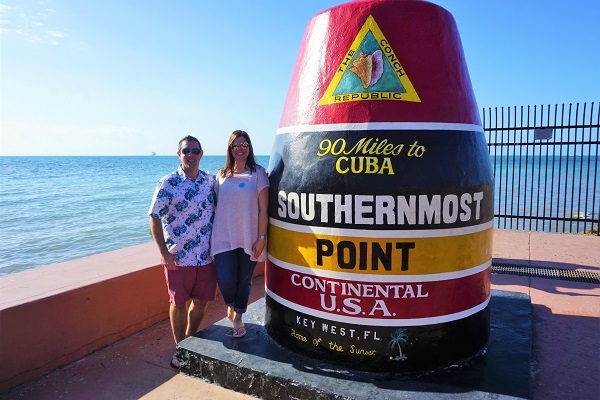 While we have cruised over two dozen times, we have never stopped in Key West, FL. If you have been reading our blog for a while, then you can probably guess that we spent the day doing all of the “touristy” things. The cruise stopped in Grand Cayman as well, a port that has not made it on to many of our cruise itineraries. In fact, Grand Cayman was one of the stops on our first cruise together on Legends of the Seas in 2007, and we have not been back since. 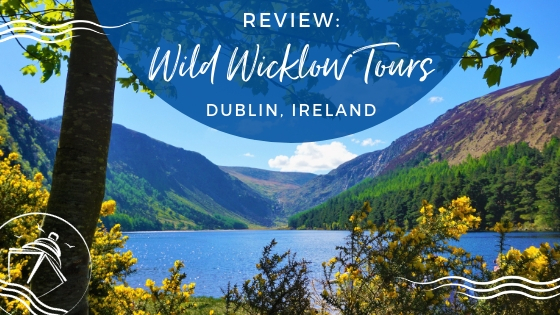 We had plans to see and do as much as possible while tendered at the island, but rough sea conditions and delays with the tour lead to a rather rushed and disappointing day on the island. For us, the ship’s design was a refreshing take on a mega-ship. 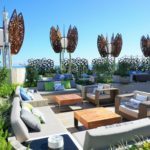 The outdoor decks were sleek and open, with a modern Resort Deck featuring one large pool, an adults only Solarium, and the Rooftop Garden complete with garden games and pop up musicians. 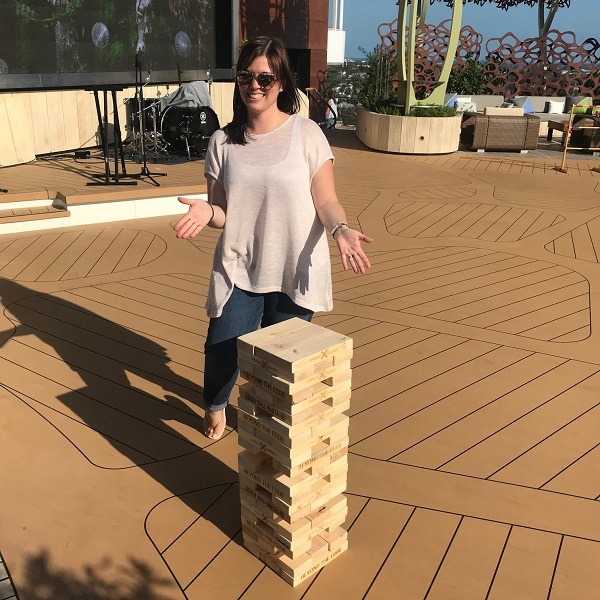 We spent a great deal of outdoor time at the Rooftop Garden enjoying the views and some friendly competition. 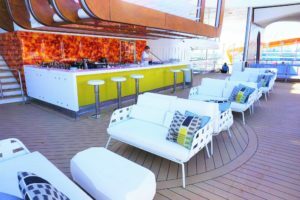 Unlike the loud and crowded feeling of the outdoor spaces on many mega ships, these spaces on Celebrity Edge were inviting and spacious. 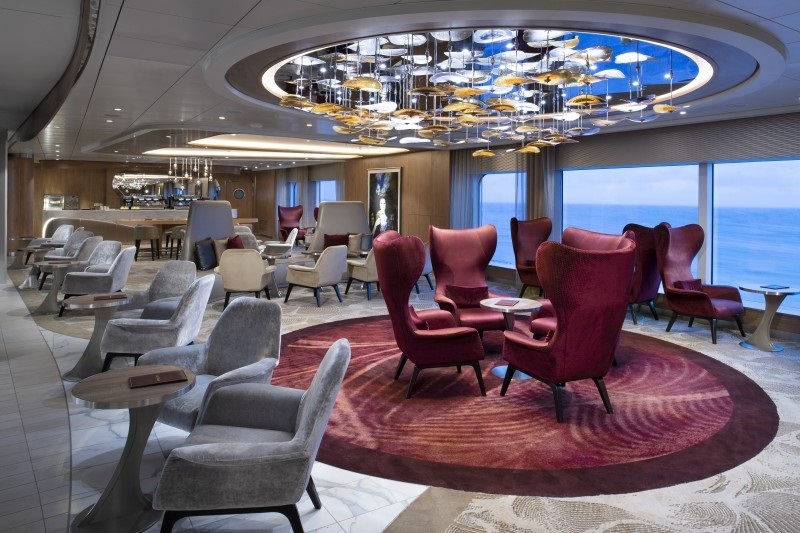 Inside, the ship offered equally stunning spaces. The centrally located Grand Plaza and Martini Bar, while a minimalist design, was a chic place for drinks and live music in the evenings. 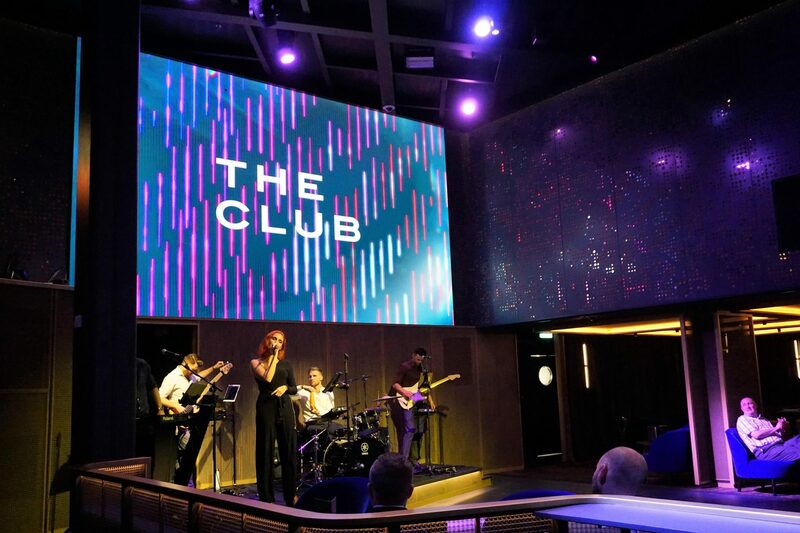 The Club was also a nice departure from the typical dance club, featuring a multipurpose design that allowed for game shows, music and dancing, and other events. Perhaps the most impressive new design was the main theater. 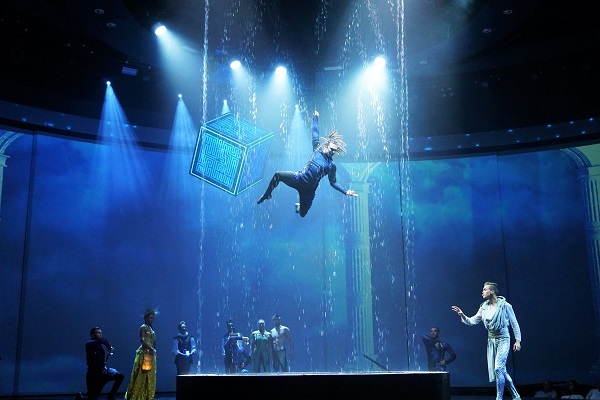 Featuring a circular stage and high definition screens for backdrops, this theater offered a more visually stunning and immersive entertainment experience. While the shows themselves were hit or miss for us, the space offered something new and fresh for future vessels in the class. 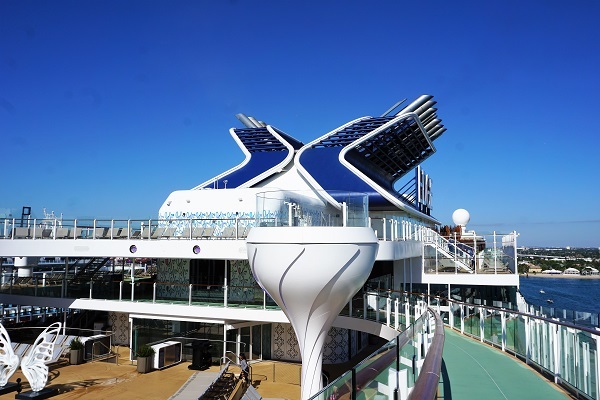 Another unique space on Celebrity Edge is the 3-story Eden. While we were not fans of the entertainment or drinks at Eden, the venue itself is beautiful. 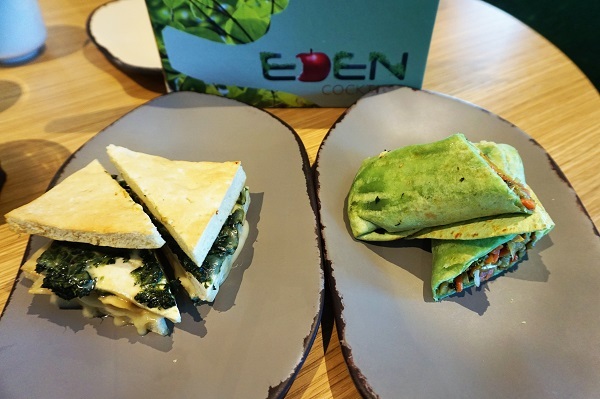 As another multipurpose space, Eden was a nice alternative to relax indoors and enjoy the panoramic views, challenge yourself to a brain teaser puzzle, or grab a snack from the Cafe. 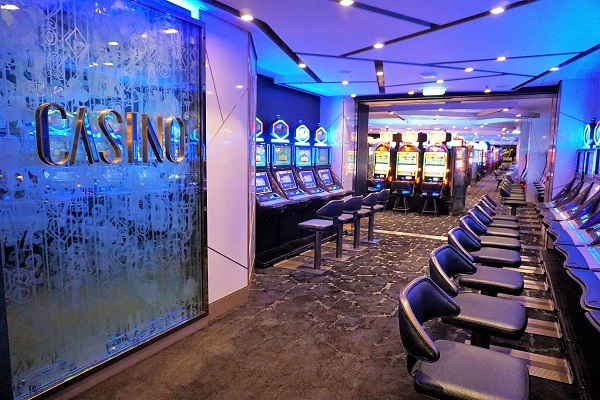 Most of the venues on Celebrity Edge are well designed and offer fresh takes on some cruise favorites. The ship executes its branded areas well, but it does lack some diversity. When compared to other ships in the fleet, we felt there were more limited options when it comes to evening activities. Reviewing our own routine, we basically did the same thing every night, stopping at the Club and/or the Martini bar for drinks and music in between main theater shows. We did enjoy the activities and specialty cocktails, but other options would have been nice. 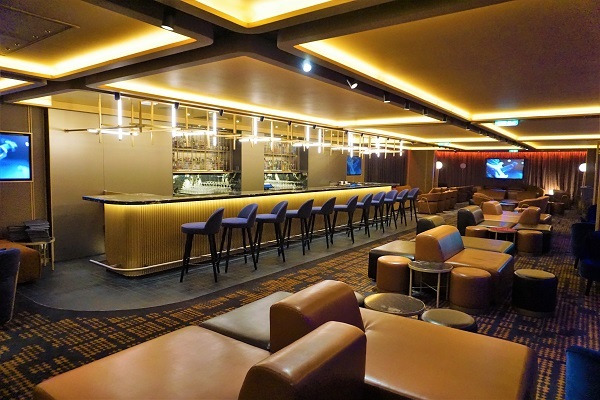 Additional venues like the Ensemble Lounge, Passport Bar, and Cellars Wine Bar were all missing on this new class of ship. 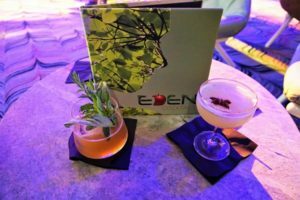 While Eden is a new space, it was an odd mix of overpriced cocktails and performance art that was too abstract for us. While the large Grand Plaza is visually appealing and a great gathering space, it almost makes the Martini Bar lose some of its character. The bartenders were always busy, limiting the bar tricks and other little touches that we enjoyed at this venue on the Solstice-class. 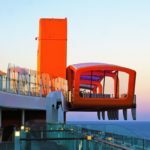 Celebrity Edge certainly shines on many fronts. 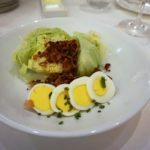 For us, the cruise line has always differentiated itself by offering stellar service and superior food. Being a new ship, we were skeptical that these two areas would suffer. Luckily, we were wrong. The staff was friendly and attentive, and venues were never too crowded. 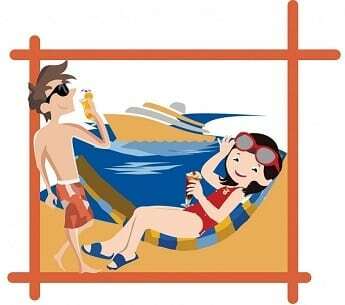 We were able to find seats in the Oceanview Cafe and even loungers by the pool at peak times. 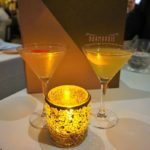 Even the new take on any time dining, Celebrity Select Dining Plus, was a success. Our waitstaff ensured we had a pleasurable dining experience in each restaurant. The food was excellent, including a mix of the new Celebrity Exclusives menu items. And, it was nice to rotate through various restaurants with a unique theme and decor. Two thumbs up to this new dining option. 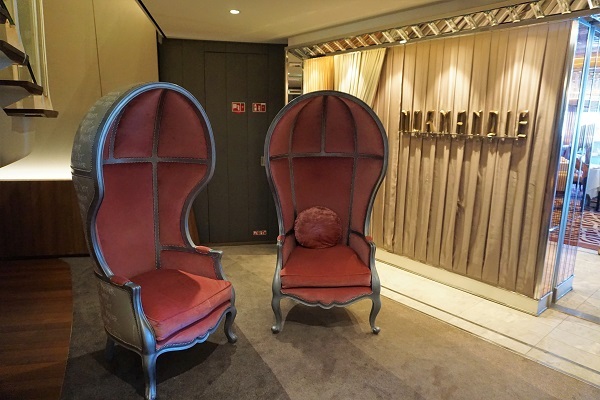 We can not overstate how much we liked the design and decor throughout the ship. Evening the dining rooms felt more like gourmet restaurants than your typical cruise ship MDR. The cruise director, Maarten Breuls, was a pretty typical director, hosting all of the obligatory events, but didn’t really add anything to the ship. 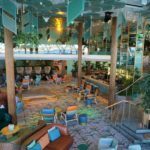 It is clear that the ship design, entertainment, and dining are aimed to appeal to a younger crowd. 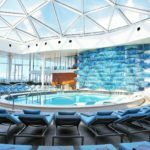 Celebrity Edge is certainly a ship for couples and groups of adults. While there are children’s areas, there were very few kids on the ship. 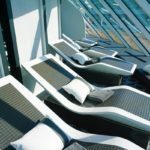 The Edge-class is designed for cruisers looking for an upscale cruise experience without all the distractions of modern cruise ships. 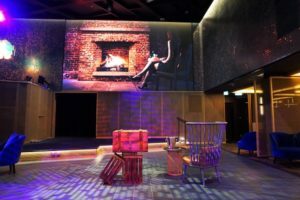 After over a year and a half of following reveals, checking out the first ever mobile cinema, and planning, our Celebrity Edge cruise had finally arrived. Flying in the afternoon before, we stayed at the Westin Fort Lauderdale Beach Resort. It was a great location and great weather, but we were not able to get an early flight out of Providence, so we essentially checked-in, ate dinner, and fell asleep rather early. After all, we knew it would be a busy and fun-filled embarkation day. Excited and eager to go, we were both awake before our 7 am alarm. Even though we weren’t even on the cruise yet, I started my usual morning routine by taking some pictures of the resort area, the beach, and grabbing some Starbucks. Finishing up all our preparations, we checked out of the hotel a little after 9:30 am, and our Uber arrived in exactly 2 minutes. It was now time to hit the road. A busy day in port with 8 ships meant we hit way more traffic than expected. Our total time from the hotel to drop off at the new Terminal 25 was over 40 minutes. Luckily, the whole process from curb, to security, to completing our Xpress check-in took less than 10 minutes. So, we were all settled in the Terminal around 10:40 am. 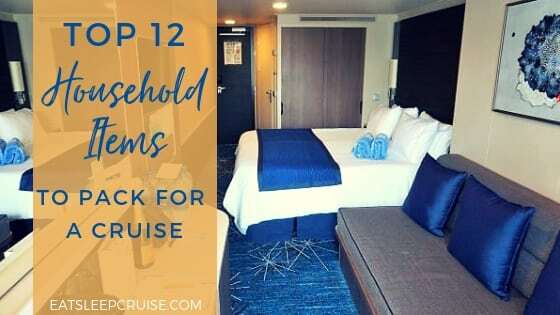 We only waited about 20 minutes until the cruise line started calling suites. Forgetting how many different classes and tiers boarded before us, it would be about 10 more minutes until Elite cruisers were called. 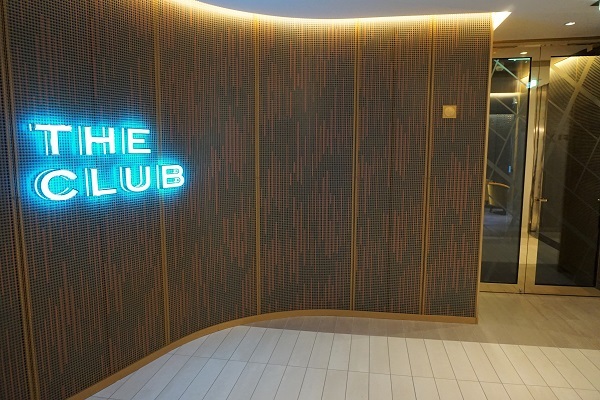 While we have only been on two previous Celebrity Cruises trips, we are Diamond status with sister brand Royal Caribbean International, giving us this “status” on Celebrity Edge. Once onboard, we did our ritual of touring the ship and taking pictures. From about 11:15 am to 1 pm, we explored every nook and cranny of this 16 deck vessel. Kudos to the cruise line for letting passengers access their rooms as soon as they board to drop off carry-on items. So, I didn’t have to lug all of my gear around the ship during this tour. The rooms were “officially” ready at 1 pm. 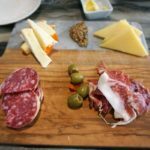 With a dinner reservation at 6:30 pm tonight in the Italian-themed complimentary dining room Tuscan, we opted to grab a quick bite to eat for lunch. 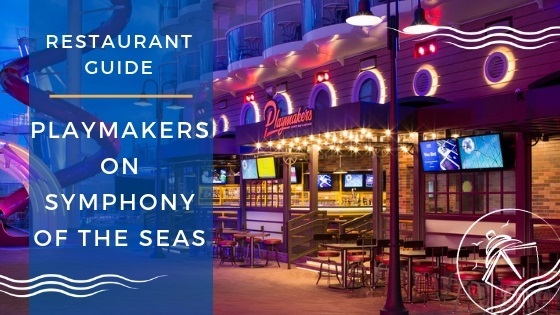 Unfortunately, none of the casual venues were open by the time we were done taking pictures, nor was the main dining room open on embarkation day. So, we had to resort to the Oceanview Cafe. 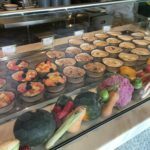 While still not our go-to option, Celebrity Cruises does offer one of the best cruise line buffets. We returned to our room around 1:30 pm to find our luggage and some welcome gifts from the great team at Celebrity Cruises. Along with the usual Elite perks, we were flagged as VIP on the sailing, which came with a few additional perks! 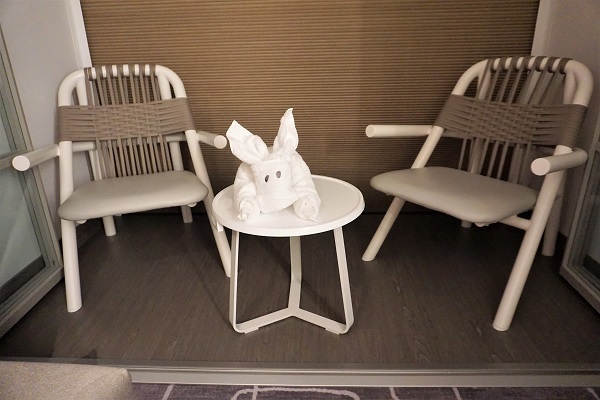 While the veranda rooms on Celebrity Edge are advertised as being 20% bigger than the Solstice class, we felt that the design made the room seem smaller and had less storage. Having to get creative, it took us a bit longer to unpack than usual. We were unpacked by 2:45 pm, putting us just out of reach of grabbing our first official drink as the muster drill was set to occur at 3:15 pm. Heading to our A4 muster station in the Main Theater slightly after 3 pm, the entire drill took about 20 minutes. Now, it was time for that drink! What better place to start than the Princess’ favorite, The Martini Bar. 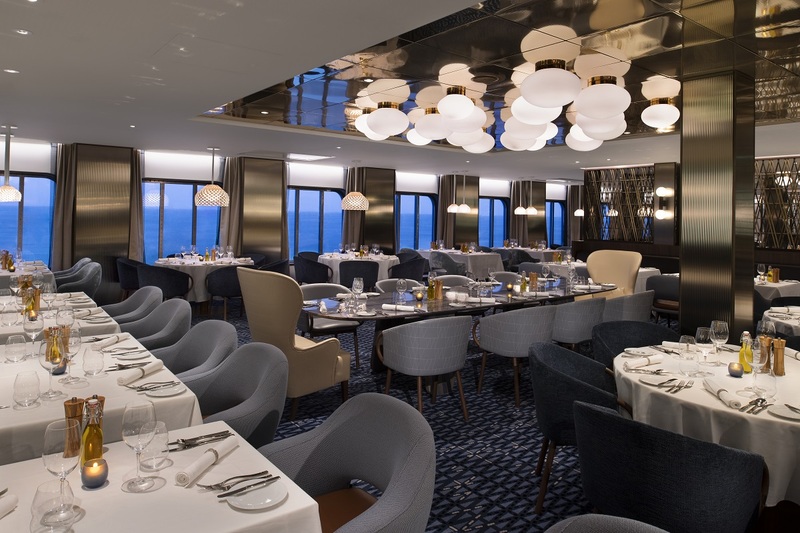 There is a new menu on Celebrity Edge for this signature venue. The Princess enjoyed her Passion Fruit martini, while I thought my Cucumber Lime martini was just okay. As part of our VIP perks, we received an invitation to a special Sail-Away party on the Magic Carpet at 4 pm. After finishing our drinks in the Martini Bar, we headed over. We arrived five past the hour to see the ship already pulling out of Port Everglades. WOW! That was fast and smooth. Testing out a few hand passed apps and a drink, we stayed here until we were “kicked out” at 4:45 pm. 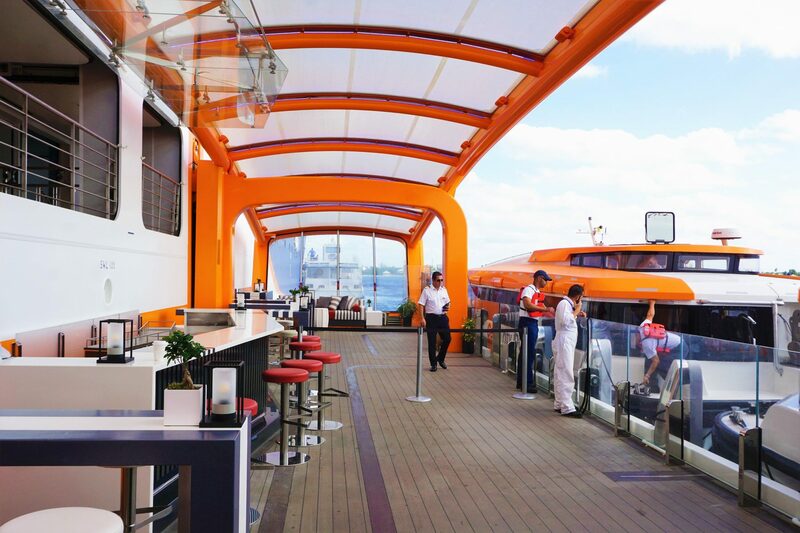 A quick loop around to the back of the ship, we found the tight Sunset Bar to be busier than expected. So, we opted to head back inside and grab some much needed iced lattes instead. While in the area, we browsed the shops but were disappointed to find out that there were no ship ornaments or inaugural season t-shirts. The attendant mentioned there have been “thousands” of requests for these items, but instead there were only over-priced logo shirts. Back to the room, we changed and showered up for dinner. 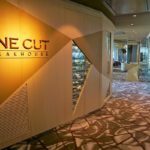 We are usually fans of traditional dining, but with 4 unique dining rooms on Celebrity Edge, we opted for the new Celebrity Select Dining Plus option. 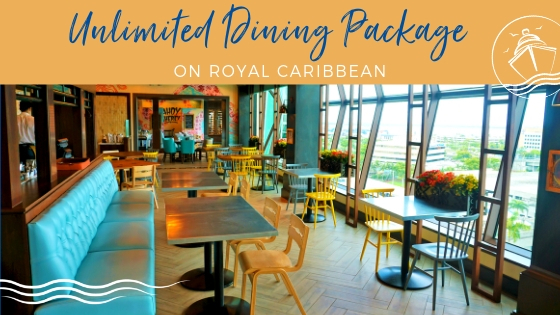 We were a bit skeptical given our two experiences with Dynamic Dining on Royal Caribbean. Surprisingly, there was only one couple ahead of us when we arrived at Tuscan for our 6:30 pm reservation. The check-in was simple, and we were seated promptly. 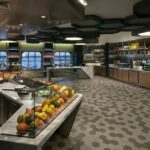 On Celebrity Edge, there is a signature menu which changes each evening and is found at all four restaurants (like most MDRs). 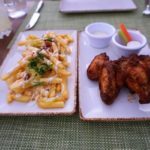 However, each of the four complimentary restaurants also has an Exclusives menu that you can only find at that venue. Tonight, we sampled a few items from both sections of the menu. Of course, we started with a round of cocktails! The Princess started off with a salad from the signature menu and went with the pasta from the Exclusives. I did two starters and then the porchetta for an entree. 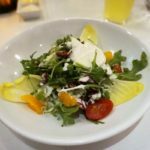 Again, Celebrity Cruises came through as service was timely and both our entrees were hits. 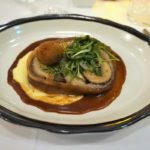 My porchetta was seasoned well and melted in my mouth. On the other hand, our lackluster desserts gave us reason to get some dessert cocktails at the Martini Bar following dinner. Finishing up around 8 pm, we secured some of the last seats in this centrally located venue on Deck 3. Listening to a duo of a piano and saxophone player, we ordered a Rumchatta and an Espresso Martini. Now talk about dessert! Tonight’s entertainment was a comedian, Troy Thirdgill, at 9:15pm. When the duo ended around 8:30pm, we finished our drinks then ascended a deck to the main level of the theater. Around 9 pm, the activities manager took the stage to preview a “for fee” trivia game TimePlay. This free preview sounded interesting, so we played. We bounced in and out of the Top 10 for a while, but finally landed at number 22 out of 50+ participants. The comedian started promptly at 9:15 pm and lasted until 10 pm. Overall, he was a pretty typical comedian, with some cruise related humor and a few other forgettable bits. Getting out of the theater, the multi-purpose venue, The Club, was located right next door. Here, the Impulse Takeover was occurring. 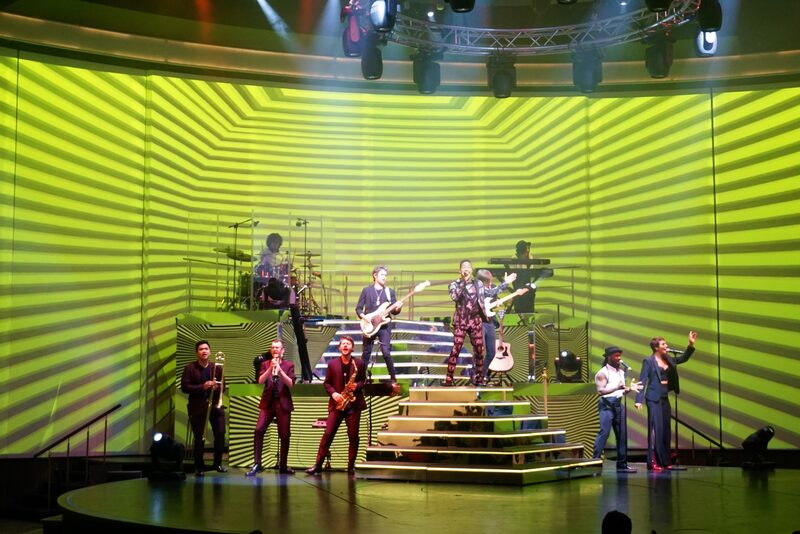 The house band’s hour set included a mix of pop and top forty hits from all decades with a focus on more recent hits. Finally, a cruise ship band that isn’t stuck in the 70’s! When the band finished up at 11 pm and the “club” music started, it was our cue to exit. The night was not over yet! The Princess wanted to head up to the Resort Deck for some nighttime views. 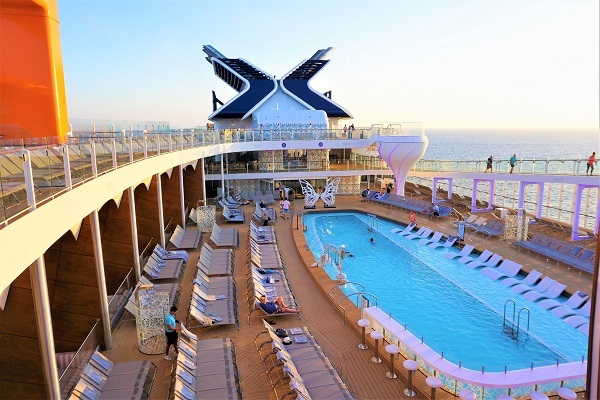 It truly is one of the most photogenic pool decks of any ship. 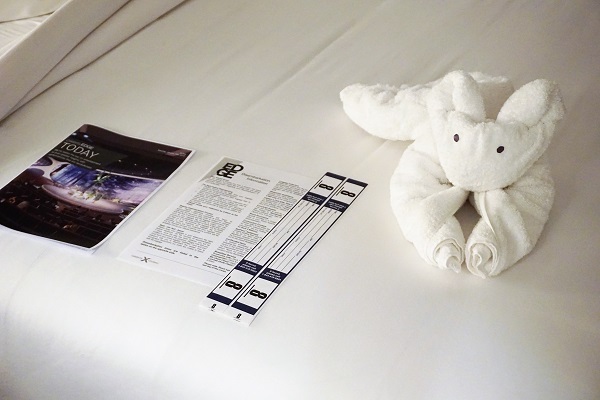 Making our way back to the room by 11:30 pm, our first towel animal of the cruise was there to greet us! A Port of Call Already? Day 2 is usually a sea day but not this time around. 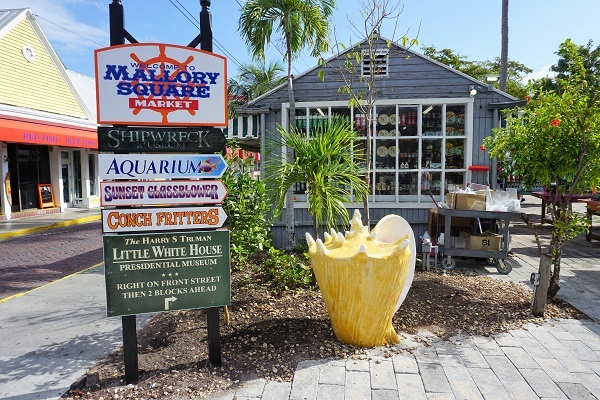 This first full day of our cruise had us stopping in Key West, Florida. 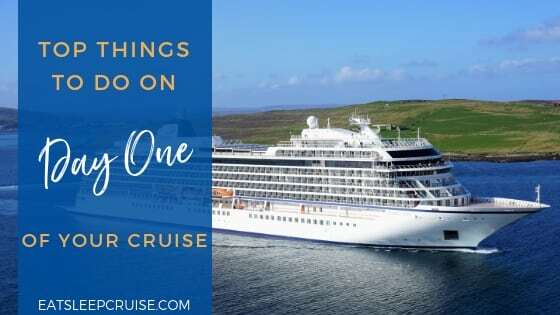 This was our first visit to this port of call, so we had a full day planned of touring and seeing all of the highlights. Our alarm was set for 5:45 am. Essentially, the same time as a work day. While the Princess got ready, I took pictures of the indoor venues as it was still dark outside, then grabbed some bottles of water and iced lattes. Today, we had booked the Old Town Trolley tour directly with Celebrity Cruises. Our tour ticket had us meeting at 8:15 am on the pier, which we would later learn was a Navy pier. Packing up our bag for the day, we made a quick stop at the Oceanview Café for breakfast. This morning crowd was manageable, and the food quality was far better than your typical breakfast buffet. Immediately exiting the ship, we were loaded on a shuttle. Once the shuttle was full, we were escorted off the military base and dropped off near Mallory Square in the heart of Key West. Upon arrival, we secured a trolley for our tour that was only about half full. The tour was a scheduled 1.5-hours, but you could hop off and back on as many times as you wanted during the day. We chose to ride the trolley and listen to the narration through most of the stops; however, we ended up hopping off at the Southernmost Point for some photo-ops then walking the rest of the way back to see some of the highlights up close and personal, including Hemingway’s House, the Lighthouse, and several popular spots on Duval Street. 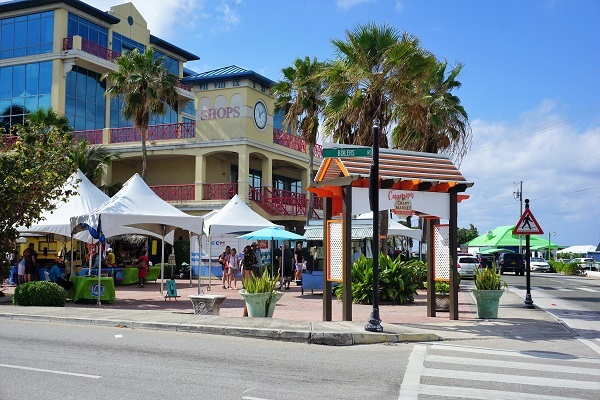 Of course, we also grabbed some essential Key West items including frozen chocolate covered key lime pie from Kermit’s, conch fritters, and a round of drinks at Sloppy Joe’s! Seeing and doing everything meant we racked up about 15K steps and some sore feet! Our timing was too good to be true, as we arrived at the meeting spot at 1:45 pm where we were greeted by a trolley that was ready to take us back to the ship. So far, this cruise was off to a great start! The approximately 10-minute drive back to the navy pier felt shorter than the same route earlier in the morning. Getting back onboard took a few extra minutes than usual as everyone’s ID and Seapass card had to be verified by the security officials guarding the base before we could even approach the ship. 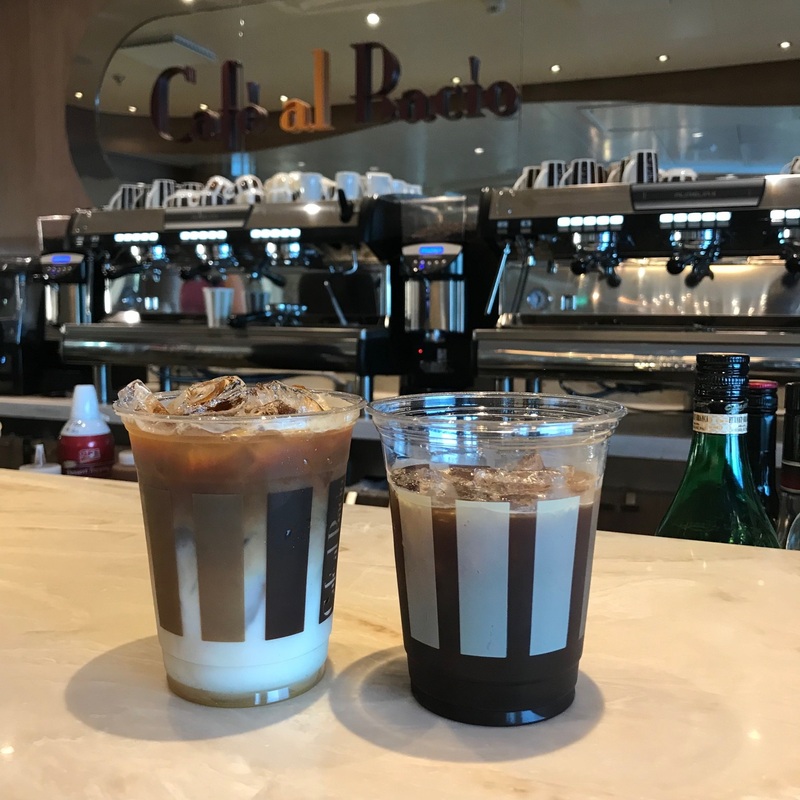 Back onboard, we grabbed some iced lattes and enjoyed the A/C at Café al Bacio. After a bit of a rest, we went up to the Rooftop Garden. It was there, prompted by the Princess, that we began one epic match of Giant Jenga. Somehow, we kept the game going for over 45 minutes. In fact, we developed quite a crowd of fellow cruisers who wanted a closer look at our tipsy but somehow still standing work of art. As it approached 4 pm, it was time to pull the rug out from under this match, and the Princess came out victoriously. 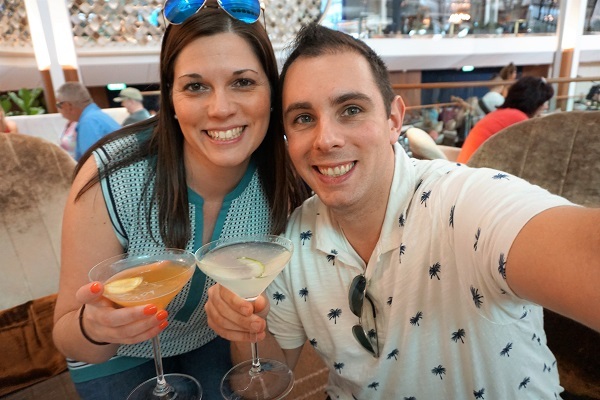 To continue the fun, we secured some seats at the Prism Bar for a round of frozen drinks to check this bar off our “Drink Around the Ship”. With fewer bars than many of the other mega-ships, this pub crawl was more than halfway over already! Needing a break from the sun, we returned to the room around 4:30pm to relax before getting ready for dinner. Tonight’s dinner was scheduled for 6:30 pm at the Fine Cut Steakhouse, a new specialty restaurant. Honestly, it was a bit disappointing that this second day ended up being Celebrity’s equivalent of “formal night” since it was a port day. Given the timing, we were down to dinner right at 6:30 pm with no formal portraits. I know, gasp! The restaurant was not too busy, and we were sat immediately after checking-in. Our waiter was Jesse, and he was very friendly and attentive. 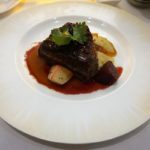 The 1.5-hour dining experience was perhaps one of the best specialty dining experiences we have had on any cruise ship! We both agreed that the side dishes and starters were far better than other similar venues on rival ships. 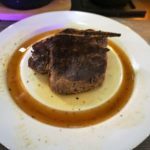 My bone-in filet mignon was excellent, and one of the best steaks I have had during our travels. Don’t worry, we will be sharing all of the delicious details in our Fine Cut Steakhouse review coming soon. Finishing up dinner before 8 pm, we had some time to kill before the show at 9:15 pm. Tonight, we were sidetracked when the Princess discovered the casino had a block of her favorite slot machine. What should have been a quick in and out in the casino ended up being an over 45 minute roller coaster. At least she walked away up about $120. Now, it will be a race to see how quickly she can lose it. This detour meant that we got to the theater about 25 minutes before the show, and it was much busier than last night. Being the first original production show, Kaleidoscope, we were not surprised by the crowd. Luckily, we were able to find some decent seats in our normal area. 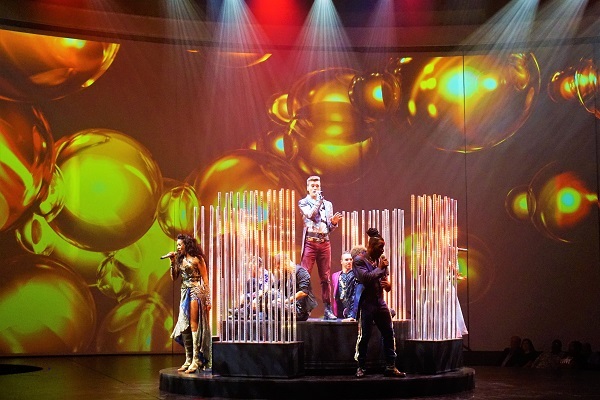 We both agreed that the vocalists gave strong performances and that the design of the theater and HD screens gave the show a modern update, but the production itself was just your typical cruise review show with a variety of songs strung together with dance performances. The show wrapped up at 10 pm, meaning it was a mad dash to the back of the ship for the Revelations at Eden. By the time we arrived, there were no seats with a clear view of the main performance area on Deck 5, so we ended up standing on Deck 6 for about the first 45 minutes of the show. Finally, seats opened up in front of the main stage around 11 pm. We sat there for the remainder of the show. Now with seats and a table, we were able to order a round of drinks to test out the specialty cocktail menu at the Eden Bar. Many of the drinks on this menu are over the $15 drink package allotment, but there does not appear to be any rhyme or reason as to pricing. As for the Revelations “show”, it is difficult to describe. 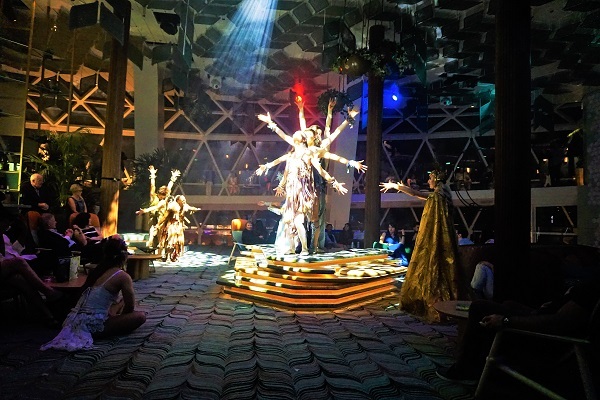 It is an interactive performance with dancers, acrobats, and other Edenists who are welcoming you into this mystical world. It is something you have to experience for yourself to truly understand. After staying the entire two hours, we were ready for bed. Wait, We Have to Pay for Breakfast? Today was our first sea day. So, we decided to set the alarm for 7 am. This morning, I ventured to the outdoor decks to take some pictures and video. The ship was definitely busier than the previous day. Several lounge chairs were already claimed, and there were plenty of early risers utilizing the running track. Getting some water and iced coffee along the way, we were ready to start the day by 9 am. The Princess had it in her mind that she wanted to have the crepes at Le Grand Bistro for breakfast. Since we had onboard credit, I caved even though paying for breakfast on a ship is something I would never do under normal circumstances. Apparently, I am not alone, as there were only two other couples in the restaurant. Ordering a few different items off the menu, I will agree that the breakfast was fresh and of better quality than the buffet. The breakfast sandwich was a clear favorite. 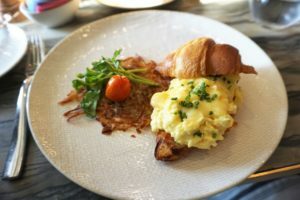 It was a savory combination of thick cut bacon and eggs served on a warm croissant. I’m not sure that the meal was worth the $10 a person cover charge, but the wife was happy. With breakfast completed, there were a few activities that we wanted to check out today. First was something titled Laser Maze. Taking place in The Club, neither of us had any idea what the activity entailed, especially since there were separate times for families and adults. Essentially, it ended up being some rigging with lasers. 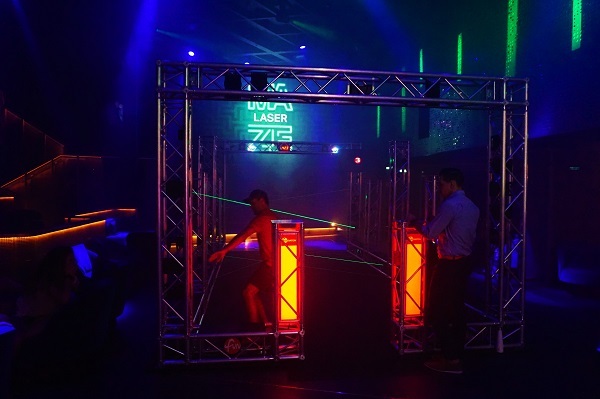 The object was that participants had a minute to run around and “knock-out” as many lasers as possible to earn points. As more and more people tried the game, the strategy and setup became rather obvious and participants’ scores kept climbing. Of course, the Princess was convinced that I should try the game. Not after eating a rich French breakfast a little over 30 minutes ago! Instead, we found some empty chairs and shade at the Sunset Bar on deck 15. Given it was too early for a drink, we made use of the space and time to basically relax and use social media. The next items on the Princess’ list included lunch and the Table Maze game at 1 pm. Down to Eden, we arrived just as the Eden Café was opening. One of our critiques of the ship, and we don’t have many, is that this venue should be open more often. 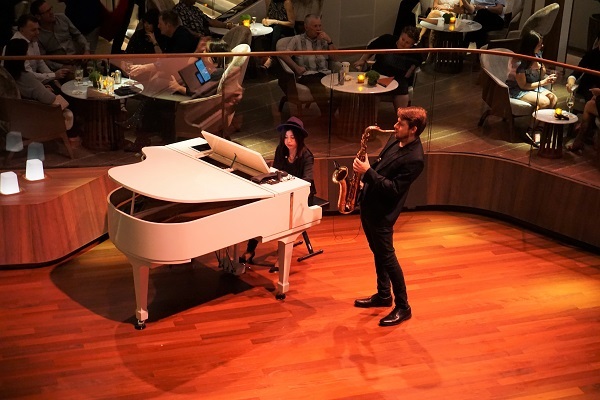 It is similar to Royal Caribbean’s Park Café, which is one of our favorites. 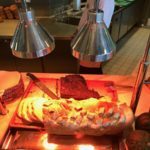 While I was considering my options, I was stopped cold by the day’s special- hot sliced pastrami on top of fresh baked bread. There was no more debating. With a few dabs of hot mustard, I was in heaven. Enjoying our lunch with some tunes from the live band, we left around 12:45 pm to return to The Club for the next event, the Table Maze. This time, we did play. Our team consisted of another couple and a solo cruiser, who were not familiar with this type of escape room experience. 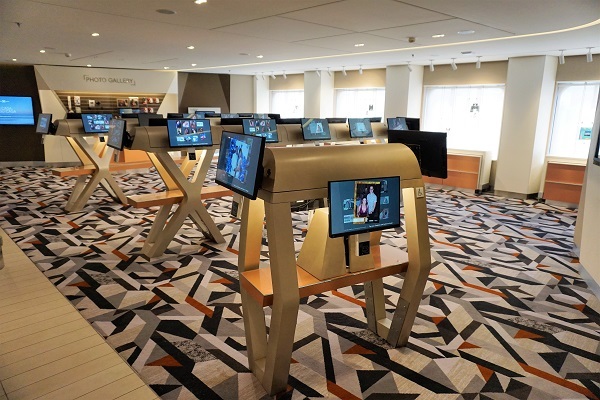 Having completed escape rooms and table top mazes on other cruise ships, we became the default experts. Sorry guys, but we aren’t all that good at it. Still, our team did quite well, finishing in about 35 minutes. However, it was about 5 minutes too late as another team had already finished and took the prize, a bottle of champagne. Considering we already had three complimentary bottles in our room, just finishing the puzzle was reward enough. Keeping this gaming theme going, the Princess wanted to check out the other rooftop games. There were a few new additions today including Connect 4. We played three rounds, and while she may have beat me in Jenga, it was no contest this afternoon. To celebrate my victory, we found seats at the Sunset Bar for a round of cocktails. This also marked another venue on our drink around the ship. 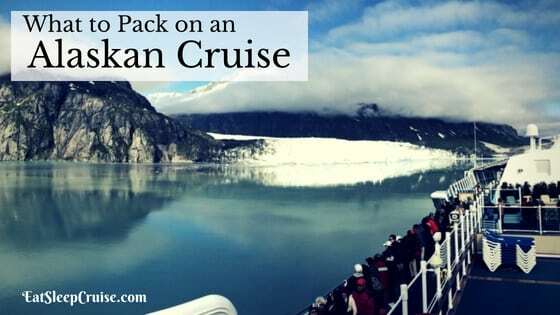 Essentially, we had completed all of the major bars in less than half the cruise! Neither of us were impressed with the two signature drinks here, the Key Lime Daiquiri and Sunset Pina Colada. Enjoying the outdoor weather for about an hour, it was back inside for some caffeine and perhaps a snack from Café al Bacio. Taking our coffees back to the room, we made good use of the infinite balcony. Unfortunately, I had to do a conference call at 4 pm for an important work project. Luckily, this call only lasted 30 minutes. Relaxing a bit, it was soon time to change up for dinner. 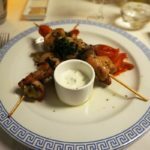 This time we were testing out another one of the four complimentary restaurants, the Greek-inspired Cyprus. We were down to the restaurant exactly at 6:30 pm to find a few cruisers ahead of us again. We were quickly checked-in and seated at a table in the back of the restaurant. 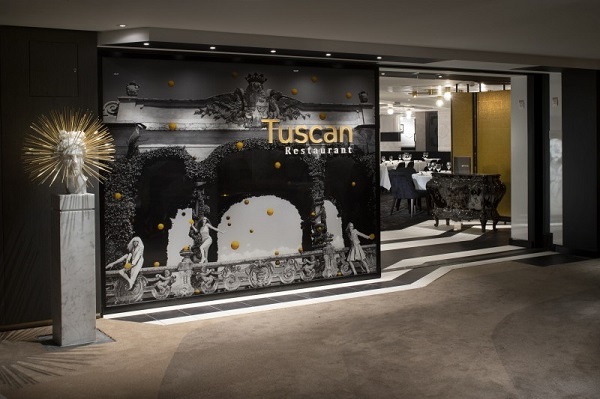 The restaurant was noticeably busier than the first night at Tuscan. 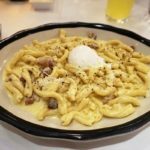 With several traditional diners heading into their entrees, the timing was not ideal for our waitress, but she still managed to be funny and attentive. 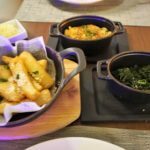 For meals, the Princess went with the exclusive salad and hot cheese saganaki as appetizers, along with the chicken souvlaki as her entree. She enjoyed all of them. 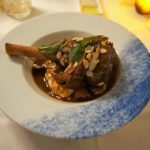 I mixed and matched, going with two starters from the signature menu and the exclusive lamb shank. 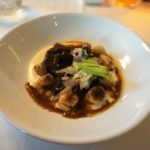 The Braised Beef Ragout with gnocchi was just as delicious as I remembered from our cruise on Celebrity Eclipse 8 months ago. My entrée was also excellent. Flavorful, tender, and pipping hot. It was also massive! Dessert was not impressive at Cyprus though. 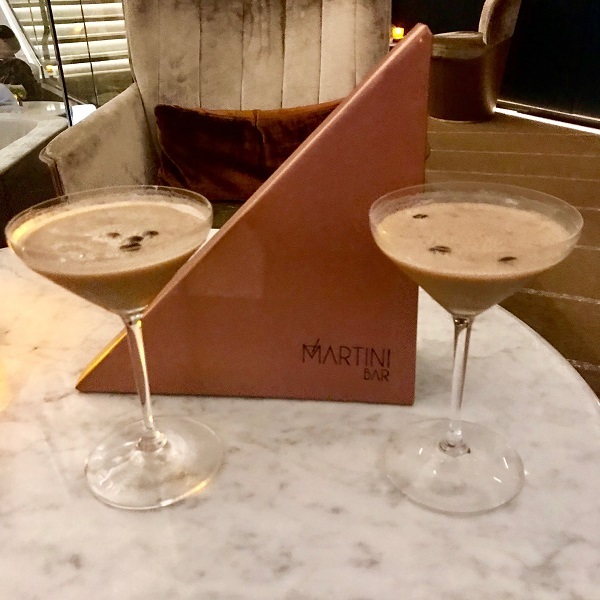 So, we decided to grab two of the dessert martinis from the Martini Bar instead. Does this sound like a trend? Actually, I was not a fan of either one of the drinks. Good thing the Princess enjoyed both of them. Next, we headed over to The Club to watch the second half of the game show Family Feud. We enjoyed all of the game shows each night in this venue. Our only suggestion would be to make the games a bit longer, as they usually lasted only about 15 minutes. While the final set of families competed, we left to beat the rest of the crowd to the theater. Tonight’s 9:15 pm show was The Purpose. It was one of two resident headliner shows. The lead performer was Ashlie-Amber Harris. She had an amazing voice, and the stage spectacle reminded us of a concert back on land. While I thoroughly enjoyed the show, the Princess was not a huge fan. Apparently, she was not alone. While no one could deny that Ashlie-Amber had an amazing voice, many cruisers also did not mesh with the song selection and theme of the show. With the performance ending slightly after 10 pm, we decided to stay in our seats for the “late night” comedy of Troy Thirdgill. This was his second performance. While he did do different material, there was nothing too adult about it. As cruise ship comedians go, he was slightly better than average. 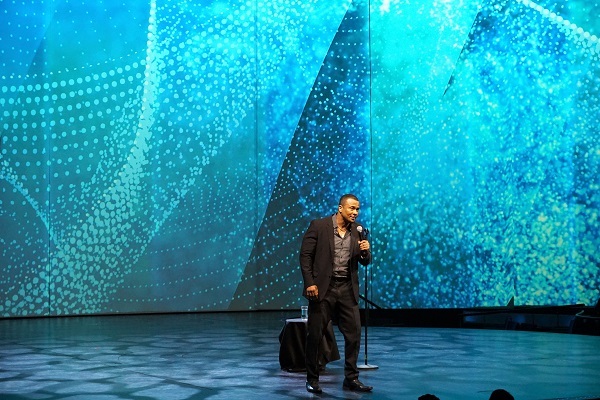 When compared to the more boundary-pushing main theater entertainment, this relatively safe comedian was probably a better fit for the audience. Following the comedy show, we decided to call it a day. Tomorrow was our second port of call in Costa Maya, and we had plans to depart the ship as soon as it was cleared. Back to our room, we had a new furry friend to great us. Just a few months prior, we visited Costa Maya on Symphony of the Seas. 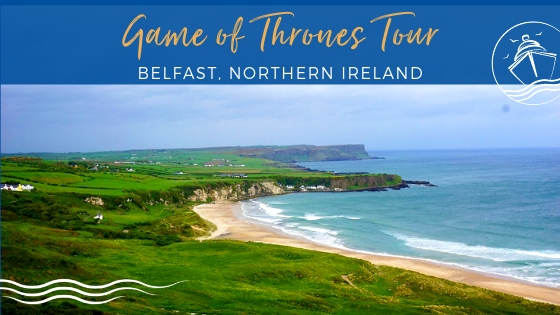 During that voyage, we did not plan any tours or shore excursions. For this stop, the Princess wanted to try out a popular beach break, Maya Chan. 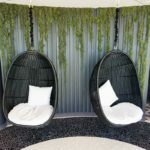 Luckily, they had availability when we contacted them about six months out from the cruise, as this beach resort does usually sell out quickly. The directions indicated that the shuttles leave starting about 30 minutes after the ship’s arrival. With our scheduled arrival time of 7 am, this meant we had our alarm set for 5:45 am. With three early wake-ups, I did not want to get out of bed this morning. Luckily, all I had to do today was get some water and iced lattes at Cafe al Bacio. While we were docked, there was no announcement that the ship was cleared. 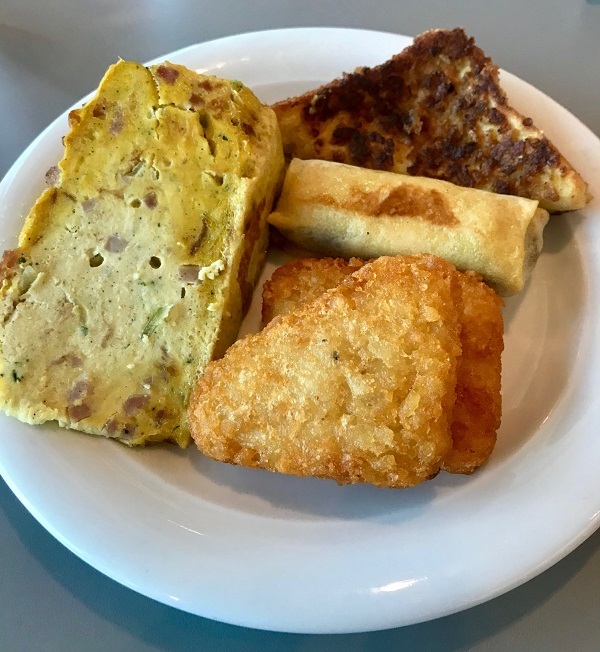 With other ships still arriving, we were pretty sure that disembarkation hadn’t started yet, so we decided to grab a quick breakfast in the Oceanview Café. 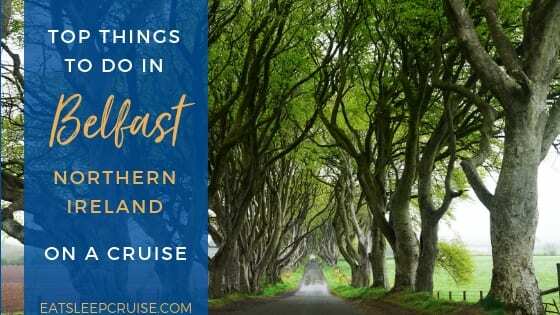 Having a repeat breakfast from the day before, we finally heard announcements around 8 am that we could go ashore. Following the herd of cruisers from our ship and the two other ships in port, which included Independence of the Seas, we were headed towards the meeting spot outside of the cruise port. Unfortunately, this port takes a while to navigate, so when we finally arrived, we were checked in and on the first shuttle in a matter of a few minutes. The 25 minute ride had us at the beach resort by 9:10 am. Being escorted to our assigned lounge area, we enjoyed some sunny skies and warm temperatures until our scheduled taxi back at 2:00 pm. 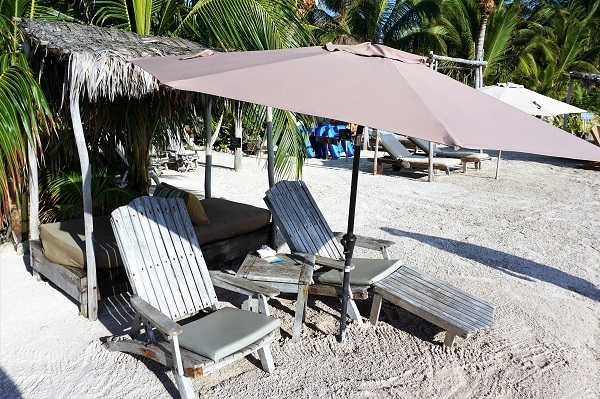 As far as beach breaks go, Maya Chan was a nice facility with friendly staff, very attentive service, and nice add-ons like complimentary kayaks, snorkel equipment, and water loungers. 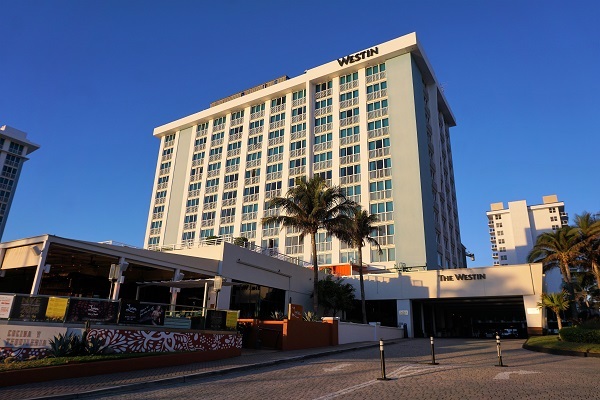 It was all inclusive which meant that the transportation, a taco buffet, and a wide range of beers, mixed drinks, and a few wines were all complimentary as well. Back to the port a little before 2:30 pm, we browsed the shops a bit but didn’t buy anything this time around. 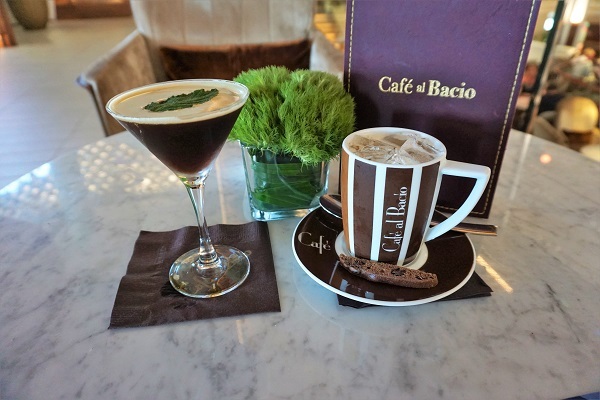 A long day in the sun, doing nothing, we need a pick-me-up at Café al Bacio. Two iced lattes were calling our names. 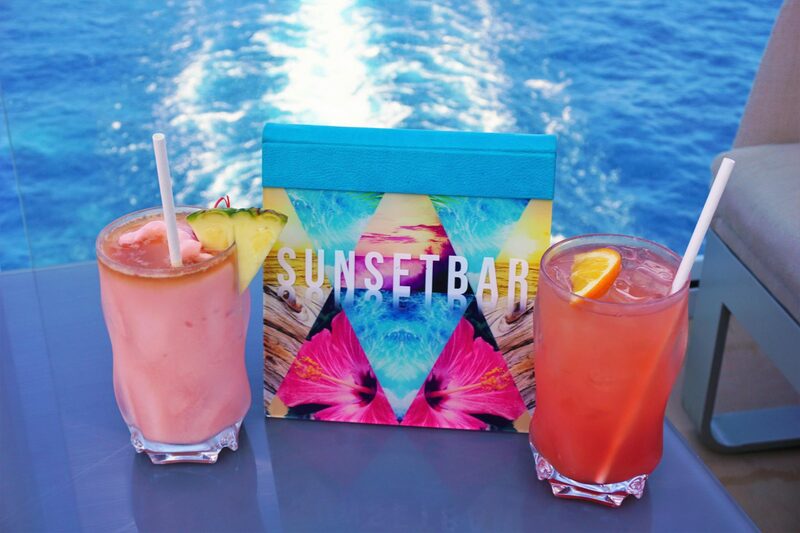 We love that these espresso-based drinks are included in the Celebrity Cruises beverage packages. Not getting as many steps in as I had the previous day, I went for a two-mile jog while the Princess got ready for dinner. It was a chance to test out the new two-level track which goes up from deck 15 to deck 16. It was certainly a workout! Finishing the cardio session and showering up, we were a few minutes late to our 6:30 pm reservation at Cosmopolitan. This third shot at Celebrity Select Dining Plus was not as smooth as our other two go-rounds. Mainly, this was because the assistant waitress was missing half the night. Our waiter was great, but he was very busy doing several jobs. Timing of the different courses was slower than it should have been but still manageable. The food was still on point with the BBQ Glazed Short Rib being hot and tender. Likewise, the Exclusives’ NY Strip Steak was cooked exactly as ordered and was juicy and flavorful. The Princess’ wedge salad was good, but average, as was the Exclusives’ Herb Marinated Chicken Breast. But, there is only so much you can do to chicken! This time around, we were out of dinner after 8 pm. It was now a ritual to walk by the wife’s favorite slot machine to try her luck before going to the show. After losing some of her initial winnings the night before, she ended up another $20 after this 15 minute or so session. 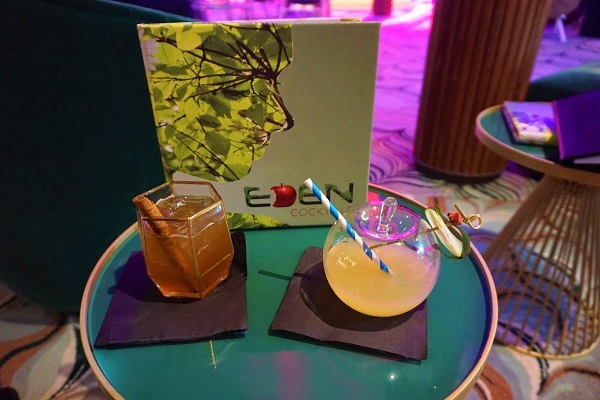 Passing on the game show in The Club tonight, we decided to give the Eden Bar another try for some pre-show drinks. 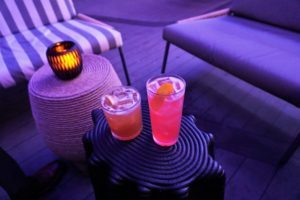 The venue was relatively quiet, and the drinks were refreshing but not worth the few dollar up-charge from the Premium Beverage Package in our opinion. We arrived to the main theater closer to 9 pm tonight to find our usual seats already taken, so we had to sit a bit closer to the stage. Tonight’s show was called The Jewelry Box. 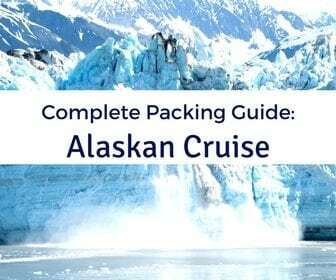 It was described by the cruise director as a movie-like experience. It started off on the wrong foot with a digital glitch which delayed the start time about 20 minutes. Once the show was underway, it was a tough sell for us. 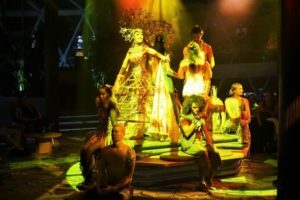 Without giving away too much of the plot, we felt like the show relied too much on the digital screens and did not include enough of the performers’ talents. The concept had a fantasy, Sci-Fi vibe but was a little silly in our opinion. Of the three new shows, this was our least favorite. Due to the technical difficulties of this performance, the next event, Live at The Club, was also delayed. So luckily, we were able to find seats in the venue. 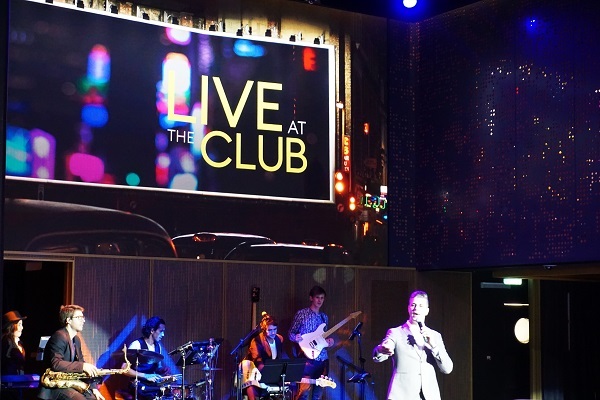 Another new concept on Celebrity Edge, Live at The Club is a take on a typical talk show. 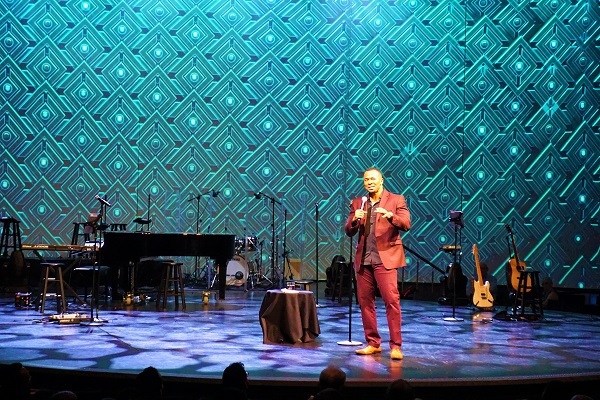 Hosted by the cruise director, the show had two “guests”, one being Ashlie-Amber Harris, the guest performer and the other being Cameron, Director of Guest Relations. Like the Tonight Show, each guest played a game after being interviewed. It was actually fun to learn about the “guests” and had a few corny jokes interspersed. The show ended around 11:15 pm, giving us enough time to squeeze into some remaining seats near the Martini Bar for one last round of drinks before calling it a night. Today, Celebrity Edge was docking in Cozumel. Having just visited this port in November, we decided to stay on the ship during this stop. Sleeping in until 7:30 am, it was going to be a bathing suit and t-shirt type of day. The weather outside was agreeing with that call. After getting ready for the day, we made a quick pit stop for breakfast. Celebrity Cruises’ Public Relations department had arranged a day pass to the Thermal Suite for us, so we decided today would be the perfect day to check it out. The spa manager Luke gave us a tour of the facilities and gave us a card to come and go as we wanted throughout the day. 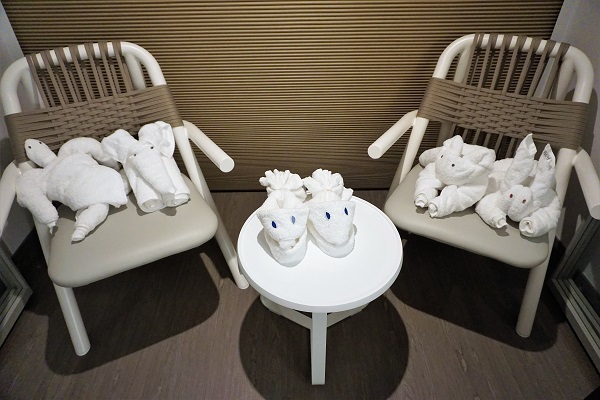 We relaxed and tested out the 8 different experiences at the Thermal Suite for about 3 hours. Today, we had the place virtually to ourselves. After a morning of doing nothing, it was time to grab lunch! 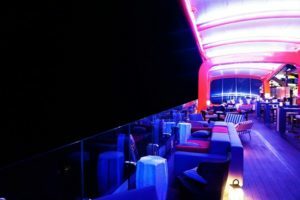 We first checked to see if the Magic Carpet was offering lunch, but it was still up on deck 14 and functioning as a bar. 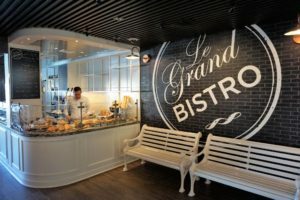 After a quick peek at the Spa Café, we opted to try Le Grand Bistro on deck 4. This lunch was a solid 90-minute smorgasbord of various French treats. We started with a meat and cheese board and a crepe. Then, we moved on to sandwiches for lunch. These filled baguettes were fresh and quite tasty. 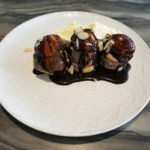 Dessert was also good, even if the profiteroles were a bit frozen. 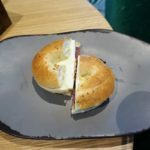 While we certainly would consider paying an up-charge for some of the to-go options, we felt that the flat rate $20 charge per person was a bit steep for lunch. Grabbing some iced coffees at the nearby Café al Bacio on our way out, we found pool loungers on the port side of Deck 14 around 3 pm, where we relaxed for the next 75 minutes or so. Back to the room to cool off, we started to get ready for dinner around 5 pm. Tonight, we were dining at another specialty restaurant, the Rooftop Grill, at 6 pm. Arriving a few minutes late to our reservation, there was a small queue at the hostess station, and the weather was noticeably windy and cool at this al fresco restaurant. 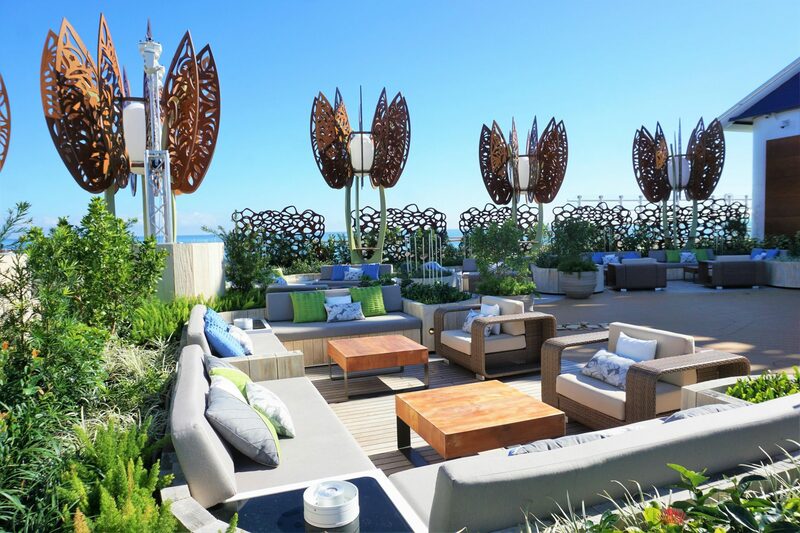 When compared to our other specialty dining experiences on Celebrity Edge, the Rooftop Garden was probably our least favorite. This was partly due to the weather and partly due to the inconsistency of the waitstaff. Our items did not arrive in a timely manner and some were also delivered cold. As for the food, it was hit or miss. The starters were okay, but the dirty fries were cold and had little topping. The wife’s half roasted chicken was good and a hearty portion. I ordered two entrees- the brisket and ribs. Both were good but pretty standard. I would compare the quality to a Tex-Mex restaurant on land. The one shining star at this restaurant were the desserts. 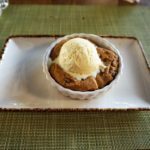 The warm cookie and smores were the best desserts that we had all cruise. 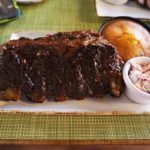 When compared to barbecue joints on other cruise lines, it was on par with those offerings but overpriced at $45 a person for dinner. If you like grilled favorites, we suggest trying the venue out for lunch. After making the quick nightly stop to the Princess’ slot machine, we arrived late to the Caption That game show in The Club. Not knowing what to expect, the game was similar to the What Do You Meme board game. Three teams were competing with a set of phrases to get the best/funniest match to an odd picture. 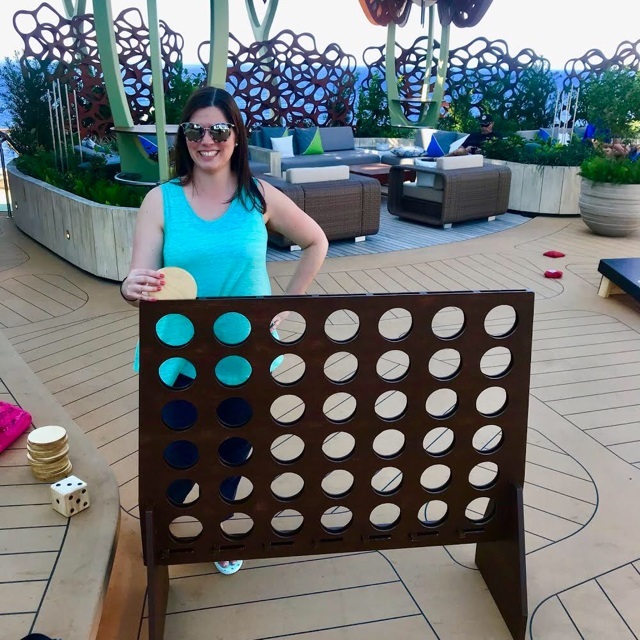 The small and non-participatory audience meant that the game was cut relatively short by the cruise staff hosting the event. This gave us time to grab drinks and head over to the main theater for the headliner show. Tonight, it was another comedian Dan Grueter. This performer was much different than comedian Troy. While he had some material, he relied mostly on audience engagement. There were some rowdy audience members tonight which resulted in some hilarious moments. The showed ended at 10 pm, and we decided to head to Eden to give the Revelations performers another chance. Tonight, the show started at 9 pm, which meant it was the middle of the performance when we arrived. There were plenty of front row seats tonight. Staying about 30 minutes to get some better photos, we headed up to Deck 14 for the Nocturnal pool party. While some improv, the show is basically the same every night and just a bit too “odd” for us. 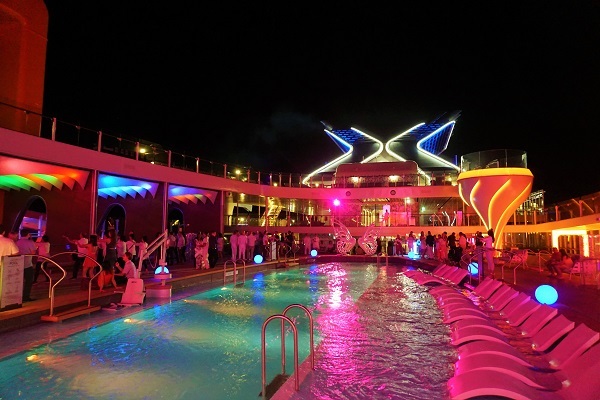 Prior to the cruise, we had read about some parties like Hypno and Andromeda which were supposed to take place in The Club, but they never happened during our cruise. The only real parties were the Silent Disco and this outdoor “white” party named Nocturnal. Neither of us were appropriately dressed in white or knew what to expect from this “new” party. Arriving at the Resort Deck, there was a small crowd dancing on the starboard side of the ship, a DJ, and some white light globes near the pool. We grabbed a drink at the Prism Bar, made a few loops around, and exited when the Macarena began playing. Since there was nothing else exciting happening, we called it a night by 11:15 pm. Tomorrow was our final port of call, Grand Cayman. The Princess had a very tight schedule to do and see everything. Of course, nothing ever goes as planned! Does Anything Go As Advertised? Given we were tendering at Grand Cayman, we booked a tour through Celebrity Cruises prior to our cruise. When we originally booked, we chose the earlier time slot which was scheduled to leave at 10:45 am. About a month out from this sailing, we received a notice that the tour was pushed back to 11:30 am. When we arrived onboard, there was another time change, pushing the tour start time even further back to noon with a meeting time of 11:15 am in the theater. Of course, we had plans to make the most of our time on the island as we had not cruised here in 12 years. Now, with all the time changes, our pre-planning was essentially thrown out the window. So, we decided that we would wake up early and try to get on one of the priority tenders for Elite and Elite-Plus cruisers that launched right when we anchored at 10 am. A quick stop at the Shore Excursions Desk confirmed that we could just meet-up with rest of the tour on the pier. For priority tendering, we had to be at the Normandie restaurant for 9:45 am. Getting a few outdoor shots and some video in the morning, we were packed with our gear and ready to test the Eden Café for breakfast by 9:15 am. 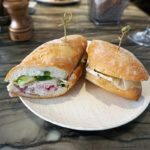 This casual restaurant offers a few to-go breakfast sandwiches, along with some various healthier options like oatmeal and yogurt parfait. We both enjoyed our selections and appreciated the alternative to the buffet. We only wish that the venue was open more for breakfast. Finishing up just in time, we headed down two decks to Normandie and were checked in with a #2 tender ticket. When the group was called at 9:58 am, we were banking on a smooth tender experience. Waiting on Deck 2 for about 10 minutes, we were eventually escorted to one of the new tenders. Walking through the Destination Gateway, through the Magic Carpet, and getting everyone on a tender took about 20 minutes. With the rough seas this morning, the small life boats were bobbing and swaying violently making the loading process a bit dangerous. 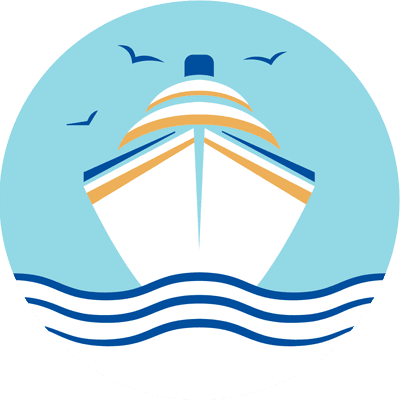 Once everyone was onboard, it took another 30 minutes to get to shore as the port was giving priority to the larger tenders leaving from our ship and the nearby Carnival ship. By now, it was already 11 am, so this gave us only 40 minutes or so to walk around the port area in order for us to arrive back at the meeting point for around 11:45 am. We took some photos of the ship tendered off in the distance then visited a few of the nearby shops. We figured we would hold off on buying our traditional souvenirs until we got back this afternoon around 4pm. Making a quick bathroom pit stop, we were back to the area by 11:40 am, expecting the tour group to arrive on a tender shortly. We even found the guide holding our tour name to make sure we didn’t miss the group. He assured us they would be arriving soon. We then continued to wait for another 45 minutes. Finally, our tour was underway around 12:30 pm. While the tour was okay, it was very rushed due to the delayed start time. Further, the rough sea conditions also impacted the Stingray City part of the tour, meaning we did not arrive back to the pier until after 5 pm and were loaded on the second to last tender back to the ship! 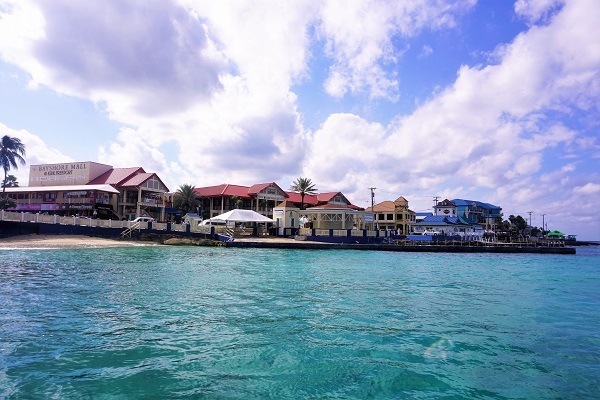 So, an epic fail in Grand Cayman means we just need to book another cruise stopping at the island in the near future to do it all over again! To make matters worse, we had changed our dinner reservations around a few weeks before the cruise when we learned tonight was going to be the second Evening Chic night. Or, better known as lobster night. Since we were originally booked in a specialty restaurant tonight, the only time we could reserve in one of the complimentary dining rooms was 6 pm. Back on board after 5:15 pm, there was no way we were making that reservation. Over 45 minutes late to our reservation, we showed up at Normandie to hope we could still be sat. The hostess checked in a “walk up” couple in front of us, and they were seated promptly. Luckily, the same could be said for us. Now, we were officially sold on this new dining program. Looking around, we saw cruisers at all stages of their meals, from starters, to entrees, and desserts. It took only a few moments for a waiter to come over and introduce himself. Given the odd timing, service this evening was a team effort, with a headwaiter, sommelier, and two other waiters assisting with the various courses and drinks for our table. We ordered two of the signature cocktails on the list, the French Martini and the Champs Elysees, which were both good. For starters, the Princess did two of the Exclusives- the Baked Brie and the Potato and Gruyere Tart. I went with a simple shrimp cocktail. I did try both of her starters and thought they were both excellent. For main entrees, I did a double order of the lobster tail of course. 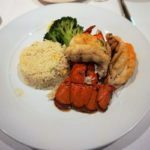 While these were the usually Caribbean lobster tail, they were much better than the odd species that was served on our last Symphony of the Seas cruise. Even though we were to dinner late, we still managed to finish just after 8 pm. After dinner, we decided to grab drinks at the Magic Carpet which was docked on Deck 5 tonight. All cruise, the Princess had wanted to check out the Magic Carpet for lunch or dinner. The bar also had a specialty cocktail menu but only when on Deck 5. For some reason though, it was seldom here on this cruise. Unfortunately, it was quite windy on the Magic Carpet. This meant it was rather quiet. We managed to order a drink and take a few pictures before we had to head inside. I went with the Sunset Daiquiri and the Princess the Magic Carpet. Our drinks in hand, it was on to the theater around 8:45 pm to get seats for this evening’s performance. The name of the show was Hype, another resident headliner act. Marcus Tyrell was the main performer tonight. 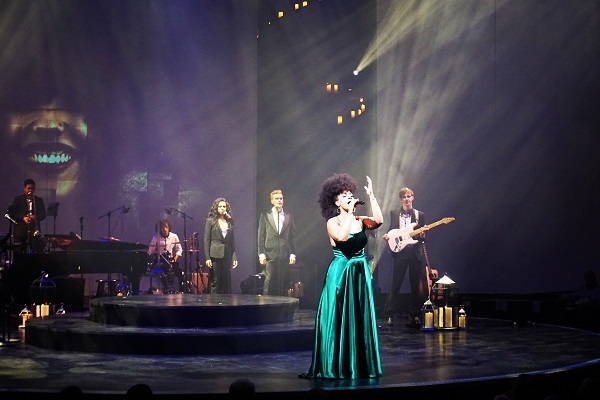 We both liked the performance as it felt like a modern day, immersive concert experience. He was talented and performed songs by modern pop stars. The show ended around 10 pm. According to the app, there was supposed to be a party at The Club. When we walked in, the band Impulse was playing again, so we stayed for about a half hour to enjoy some great 90’s alternative music. Next up on the list was checking out Sinful at Eden. By the time we arrived, the venue was not very busy, and we did not see many of the Edenists interacting with the audience. So, we might have been too late. As neither one of us really warmed up to this new venue, it was one more stop at the Martini Bar. Making quick do of our final drinks of the evening, we were back to our room by 11:45 pm and were greeted by another new friend! The last day of our cruise was a sea day. So far, we had been successful at completing all of our usual pictures and activities on the ship. With not much left to do, I was being extra lazy this morning. 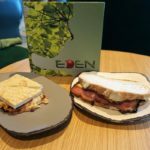 Grabbing us iced lattes, we were ready and out the door for a light breakfast at the Eden Café for 9:30 am. By now, who really needed to even eat breakfast? Somehow, I managed to try another breakfast sandwich as well as the “signature cinnamon bun”. 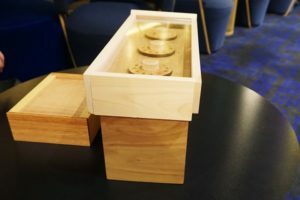 While enjoying the space, we got sucked into playing one of the wooden puzzles on the table. It was little things like this that were nice touches. Sadly, not many people seemed to use Eden during the day. Wanting some fresh air, we went up to the Rooftop Garden next for some more games. While we played Connect 4, there was an intense game of Giant Jenga going on next to us. Not sure why, but it becomes an amazing spectator sport! After a few rounds, we made a few laps around the outside decks. The weather was nice, so we planned to spend some time in the sun this afternoon. However, the day before we were contacted on social media by another husband and wife blogger team that was also onboard the ship. They invited us to have lunch with them in Luminae around noon. This gave us enough time to stop at the Photo Gallery to review our photos and purchase our Welcome Aboard photo, which actually came out good for a change. Then, we made a pit stop in the casino to ensure the Princess walked away a loser for this cruise. For a sea day, Luminae was essentially empty when we arrived. We had a nice lunch sharing travel stories and blogging tips with these new friends. They were heading off to a wine class at 1 pm, so we were done lunch in just under an hour. 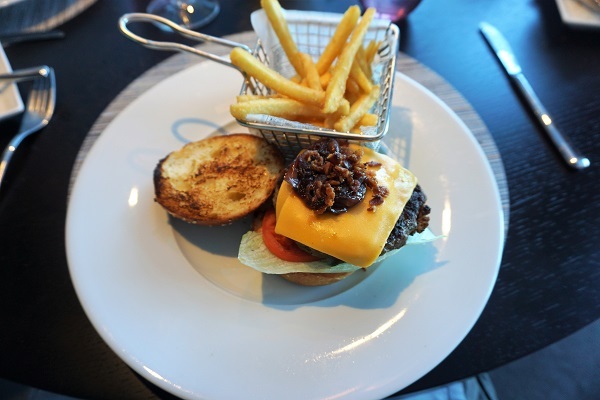 I could not resist ordering the signature burger, which was quite delectable. Heading back down to the room, we changed into our swim attire to get some afternoon sun. It took a few laps, but we finally scored two loungers on Deck 16 near the Magic Carpet. With a little rearranging of the chairs, we were in direct sunlight. We sat here for two hours soaking up the last rays of sun that we would get this trip. 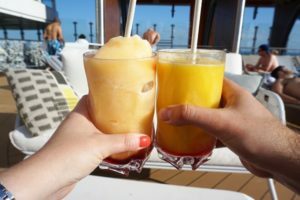 Along the way, we did a couple rounds of frozen drinks. Not sure what it was, but I was not a huge fan of my Pina Colada or my Mudslide. By 3:30 pm, we were both ready for some caffeine for the long night ahead of us. Down to Deck 4, we grabbed seats at Café al Bacio for coffee and maybe a sweet treat or two. 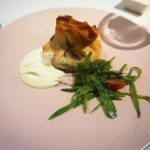 Tonight, we were dining at Le Petit Chef and Friends in Le Grand Bistro. 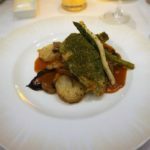 Originally, we had booked the restaurant for dinner, but about 6 months before our cruise, we were contacted by Celebrity stating that Le Grand Bistro would be this specialty dining event in the evenings. The cruise line offered to switch our reservation to this new, digitally enhanced dinner and a show for no additional cost. We were not really sure what to expect. 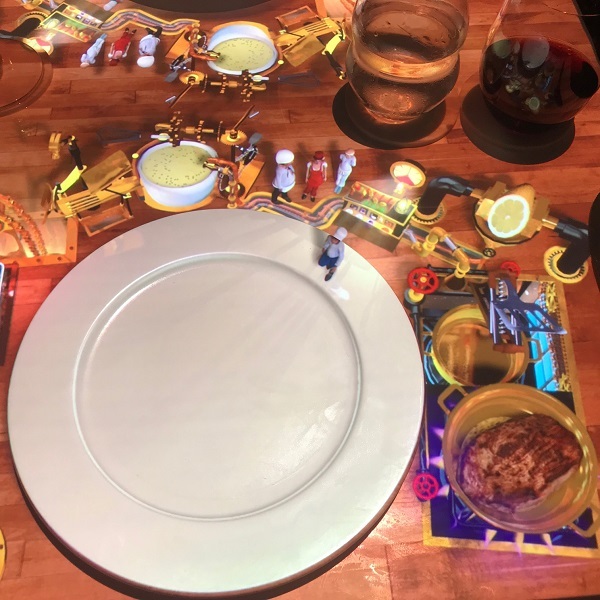 We soon learned that the digital projections on the table presented a cooking competition between micro-sized chefs. 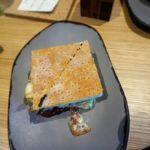 The entire story unfolded on the table, which was different than I expected after reading about this dining experience. The food was spectacular. The two starters were a Tomato Salad and a Cheese Ravioli. 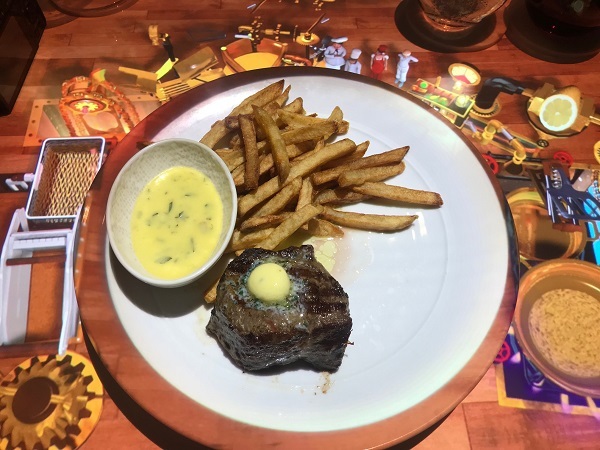 The Steak Frites entree, which was cooked to order, was again one of the better steaks that I have had on a cruise. Of course, the Princess did the alternative menu option for the entree course. 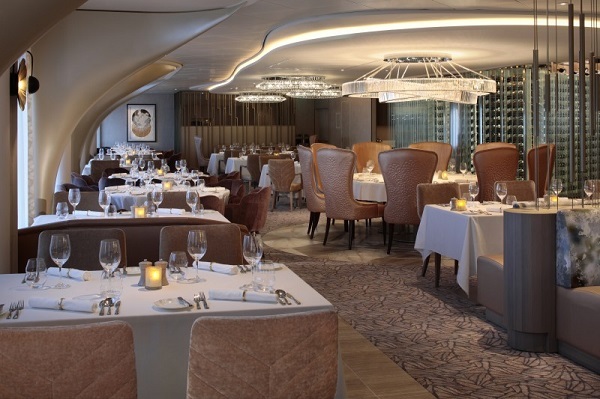 Many of the Solstice-class ships have this new dinner experience now in Q-sine. We would definitely do it again, as that show and menu are different. Timing was perfect, and the experience was done promptly at 7:30 pm. This gave us time to head back to the room and pack. 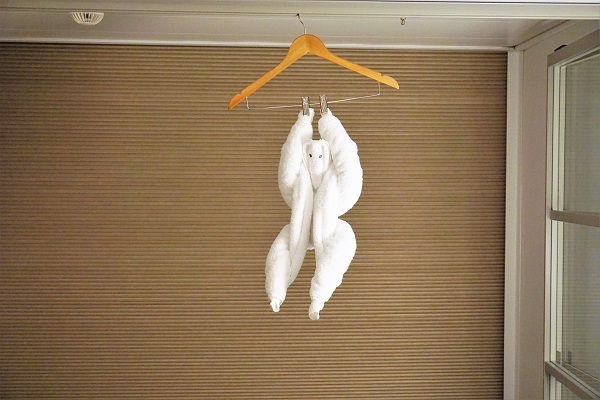 While here, we were greeted by our last towel animal of the cruise. The family was now complete! For once, our packing was pretty efficient. We were able to get a majority of our bags packed, organized, and within weight limits rather quickly. This gave us just enough time to get down to The Club to watch the game show Yes or No. Again, this interactive game show was fun to watch. Only one person was successful at beating the clock while not uttering either of the forbidden words. Ending around 8:30 pm, we stayed for the first two performances of Bandeoke, featuring the musicians from Impulse. If you are new to this activity, it is essentially karaoke, but instead of singing to a track, the contestants sing along with the band. 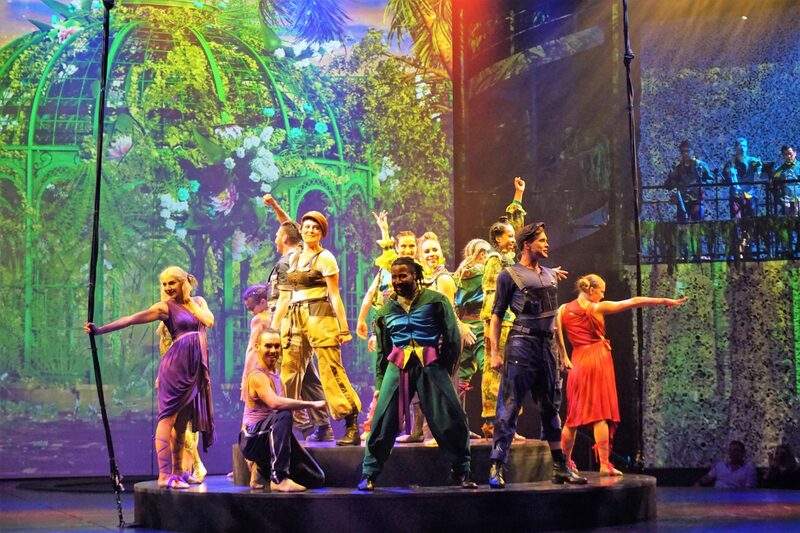 Both individuals were good, and while we do enjoy this nighttime event, we wanted to ensure that we got seats for the final theater production, a Hot Summer Night’s Dream. Of the three new production shows, this one was our favorite. It is a take on the famous Shakespearean play. Honestly, neither of us were all too familiar with the plot. However, the show included a well-balanced mix of singing, dancing, and the acrobatic performers. The digital screens were a nice compliment to the show, but not distracting or overpowering as they tended to be in some of the other performances. Ending around 10:00 pm, we stayed in our seats for the 10:30 pm late night comedy with Dan Grueter. His previous show was funny given the crowd interactions, but this time around it was not as entertaining. Ending a little bit after 11 pm, this was our last opportunity to head to the Martini Bar. Each grabbing a round of Espresso Martinis, we reflected on the day and the trip in general. We couldn’t believe that it was already over! 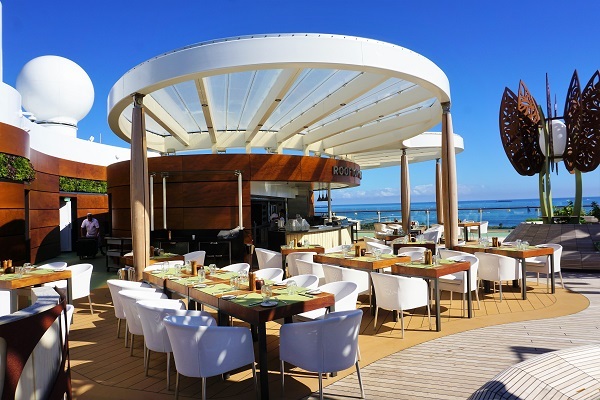 Celebrity Edge offers some innovative and new dining and entertainment experiences. For us, some were hits, while others were misses. 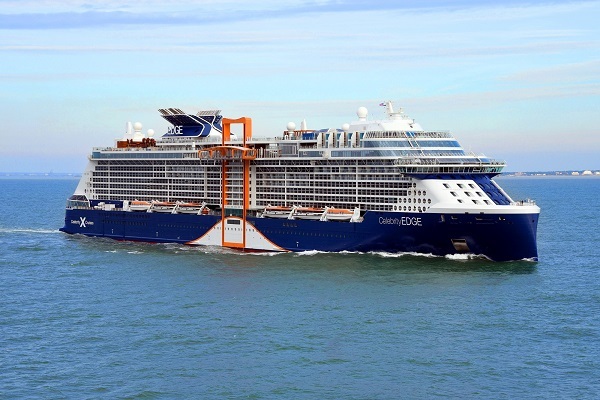 The second ship in this new class, Celebrity Apex, debuts next year in Europe and then comes over to the Caribbean in November 2020. We are still eyeing potential cruises for that inaugural season, as both of us agreed that we would certainly sail on this class of ship again. Calling it a night, the disembarkation process the next morning was very quick and efficient. We did the self-disembarkation option and even remarked how eerily quiet it was getting off the ship. Into an Uber and to the airport, it was an uneventful flight home. Now to start finalizing plans for our next cruise to Hawaii on Celebrity Solstice in a few months! 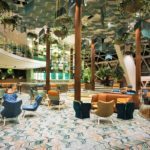 Have you sailed on Celebrity Edge to the Western Caribbean? 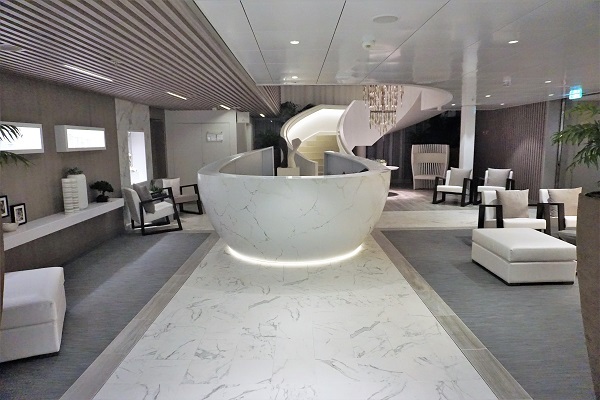 What were your thoughts on this new ship in Celebrity Cruises’ fleet? 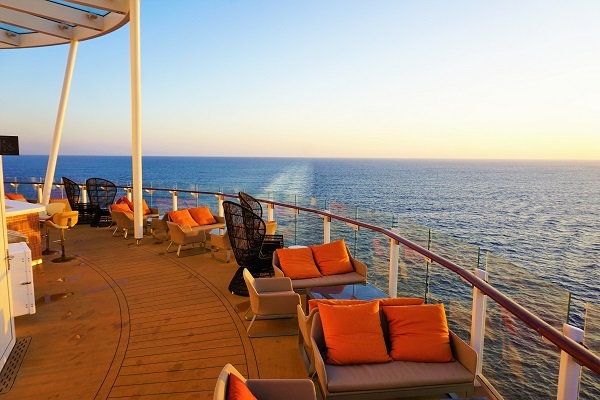 Drop us an anchor below to tell us about your experiences on this amazing ship.